Show off when you’re bludgeoning an enemy to death. Fortnite: Battle Royale features plenty of outfits, Gliders, and Black Blings for players to pick up. 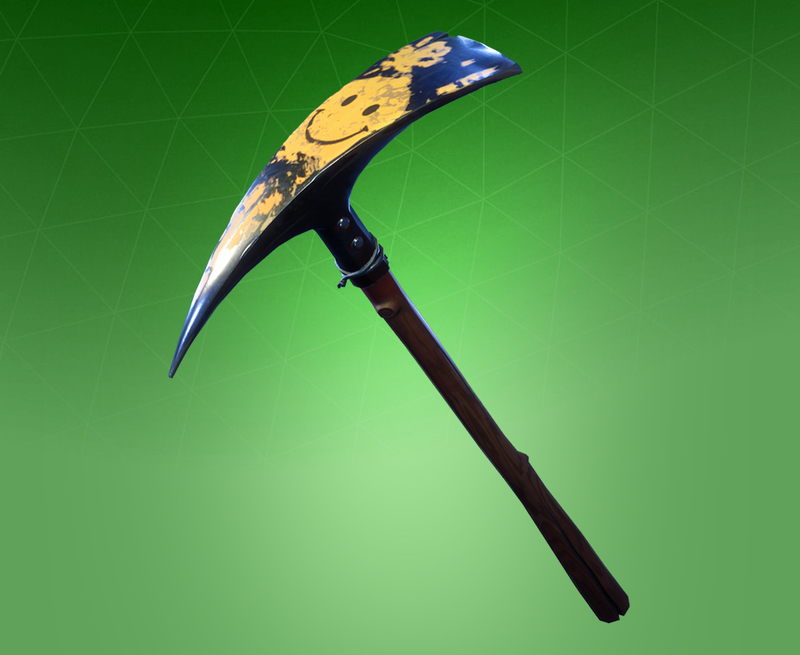 But for fans that really want to show off, then picking up a skin for your Harvesting Tool is your best bet. 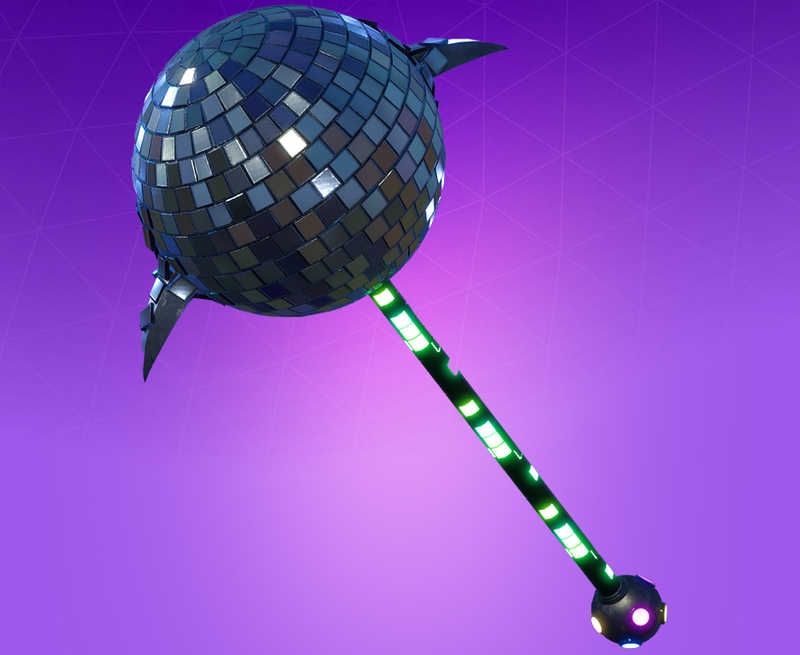 These Pickaxe designs run the gamut, from a model of the solar system to an enormous disco ball that players can wack their opponents with. It’s pretty mind-boggling how much there is to dig in with. 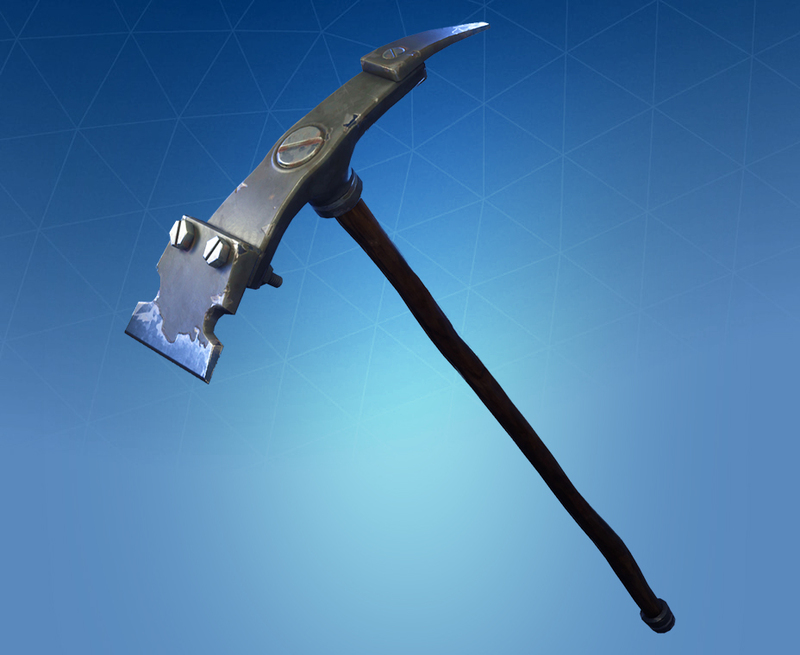 Epic Games’ attention to detail is impressive for such a simple melee and harvesting weapon. 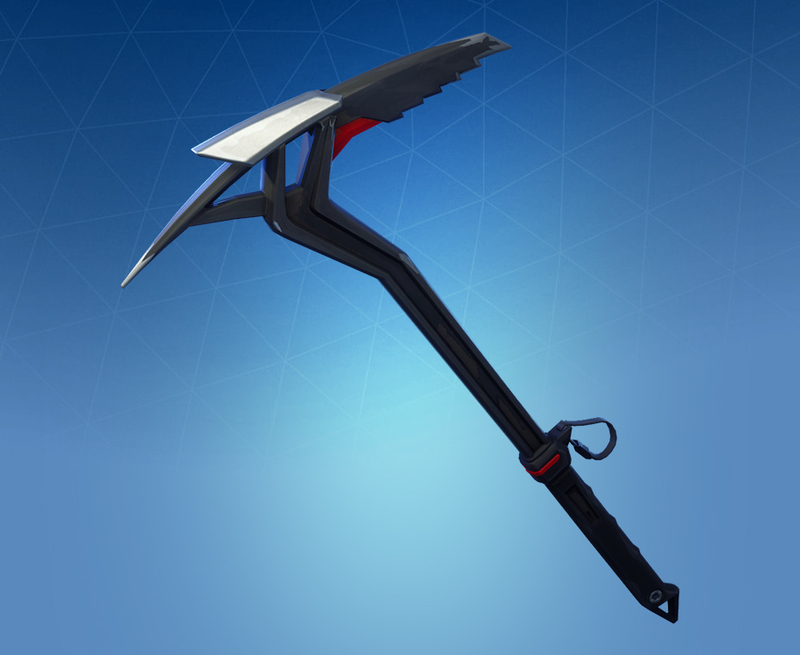 Fortnite players that grab a rare Pickaxe should be proud of their accomplishment. Here’s how to acquire every single Harvesting Tool in Fortnite: Battle Royale. 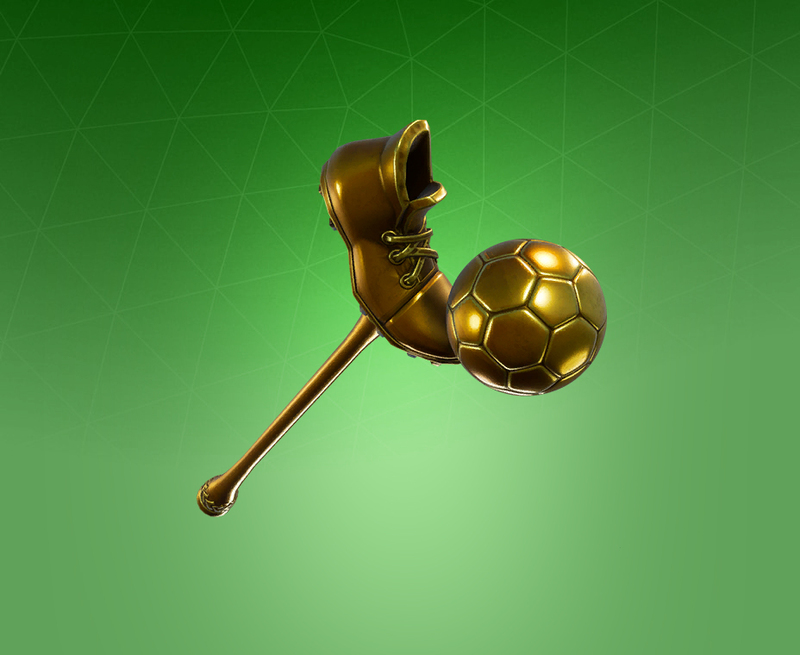 The Elite Cleat skin is available from the Item Shop for 500 V-Bucks. It is part of the Goalbound set. Players can purchase the Ice Breaker skin from the Item Shop for 500 V-Bucks. 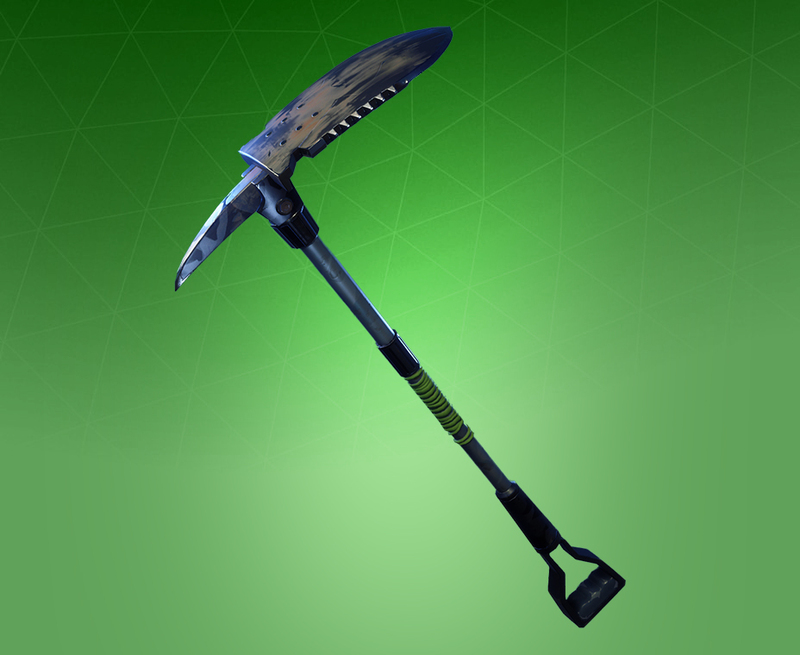 This Harvesting Tool is part of the Arctic Command set. The Lucky skin is available for 500 V-Bucks on the Item Shop. 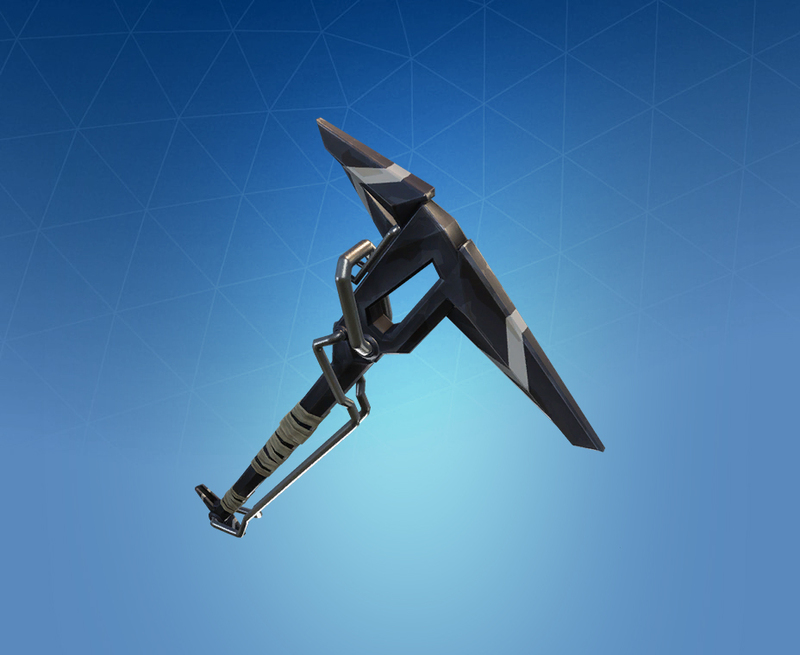 The Tactical Spade skin is available on the Item Shop for 500 V-Bucks. 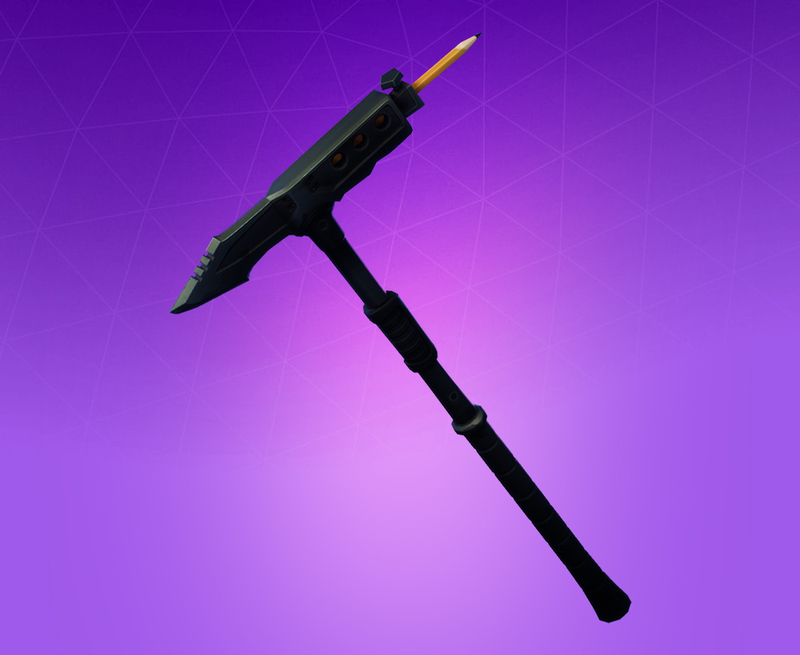 This Harvesting Tool is from the Black Vector set. Fortnite players can pick up the Victory Lap skin for 500 V-Bucks from the Item Shop. The Victory Lap is from the Racer Royale set. The You Shouldn’t Have! 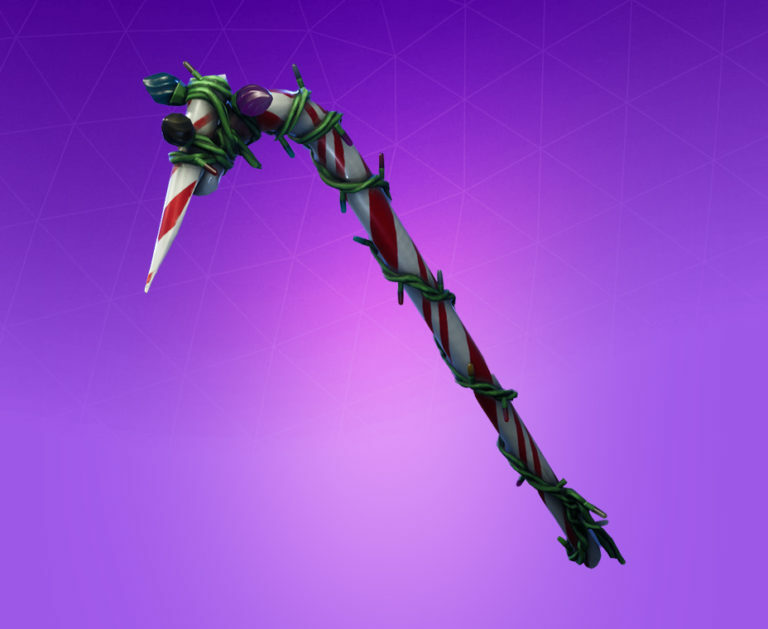 skin is a Holiday Harvesting Tool available on the Item Shop for 500 V-Bucks. 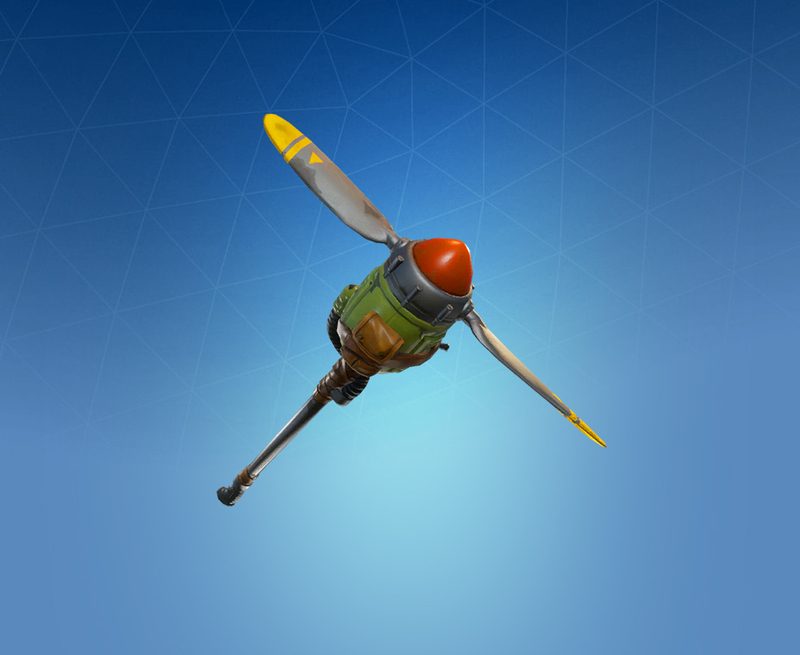 The Airfoil skin is available from the Item Shop for 800 V-Bucks. 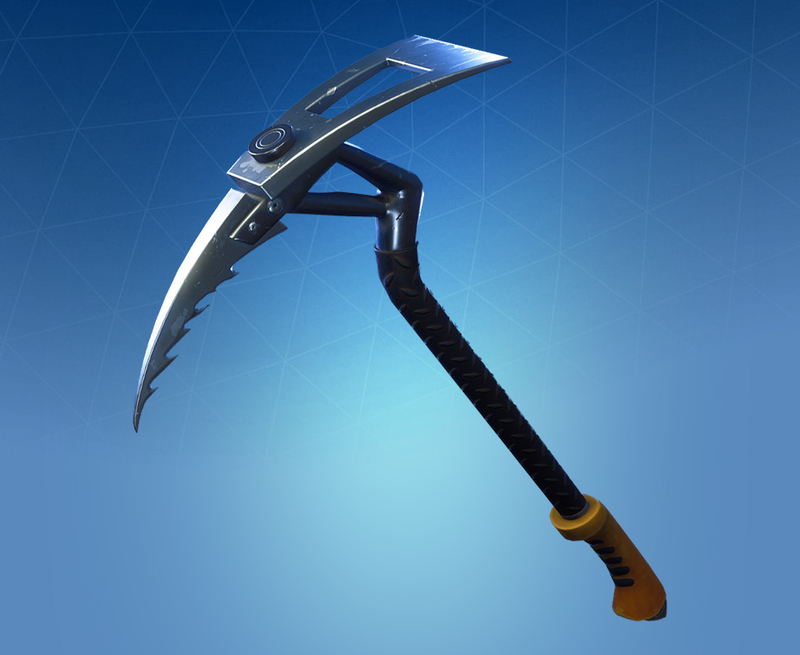 This Harvesting Tool is part of the Venture set. 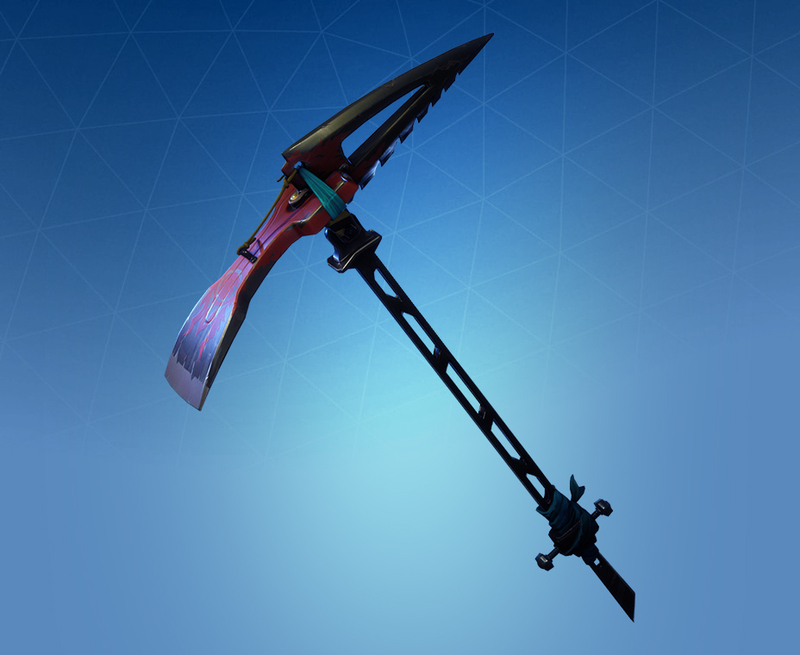 The Anarchy Axe skin can be purchased from the Item Shop for 800 V-Bucks. 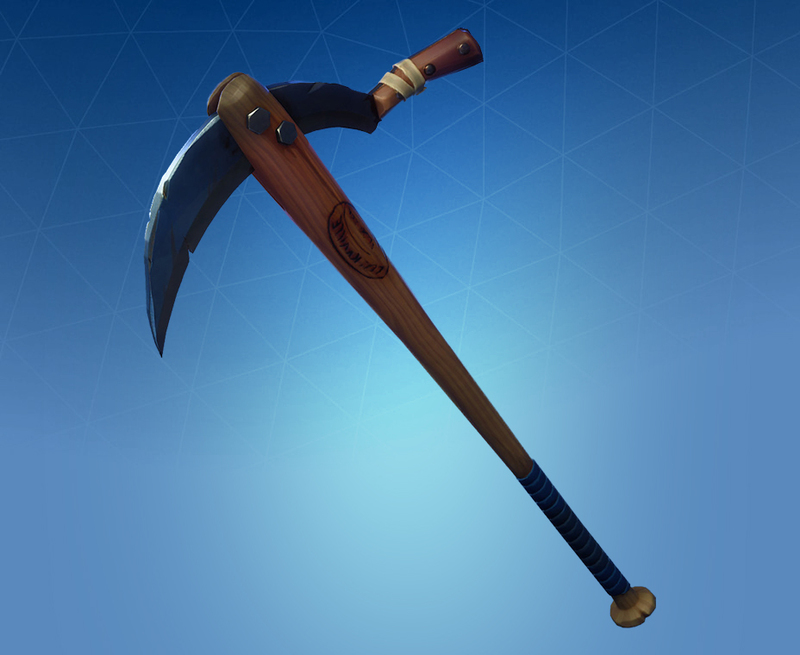 This Harvesting Tool is part of the Volume 11 set. The Autocleave skin is available for 800 V-Bucks from the Item Shop. 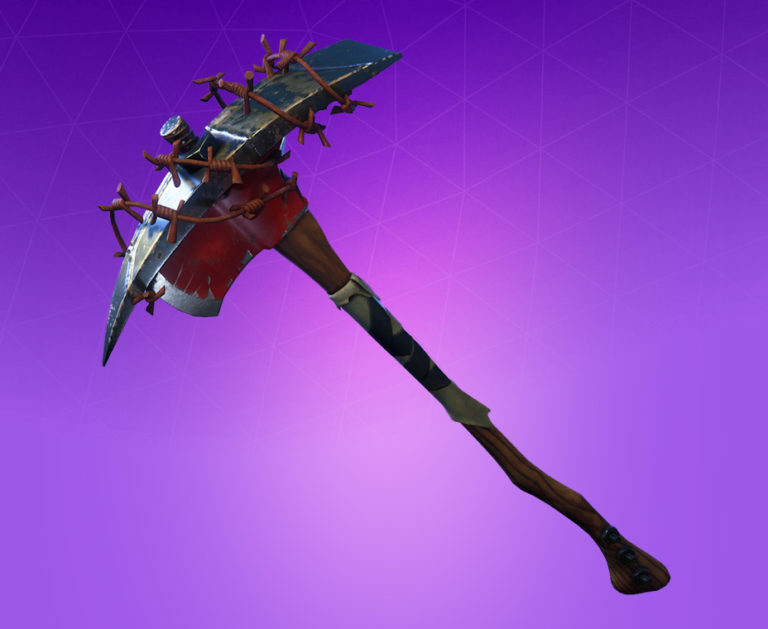 This Harvesting Tool is part of the Outbreak set. 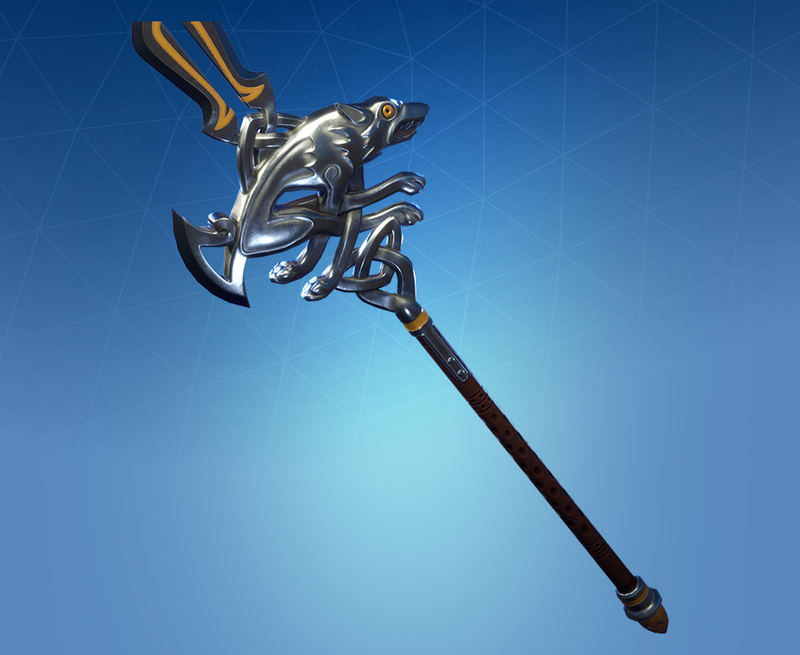 The Axecalibur skin was available as a Battle Pass Season 2 reward to players who reached Tier 35. 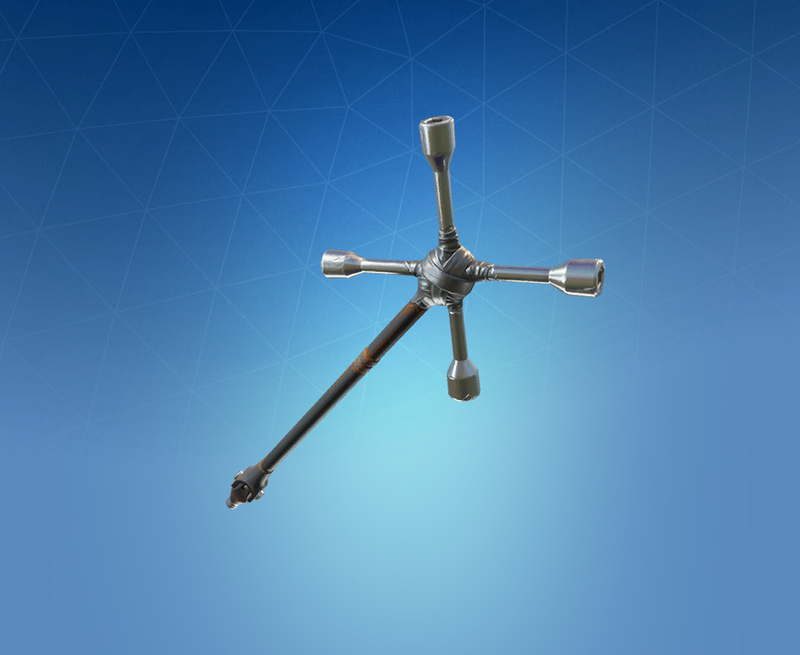 This Harvesting Tool is part of the Fort Knights set. The Axeroni skin is available on the Item Shop for 800 V-Bucks. 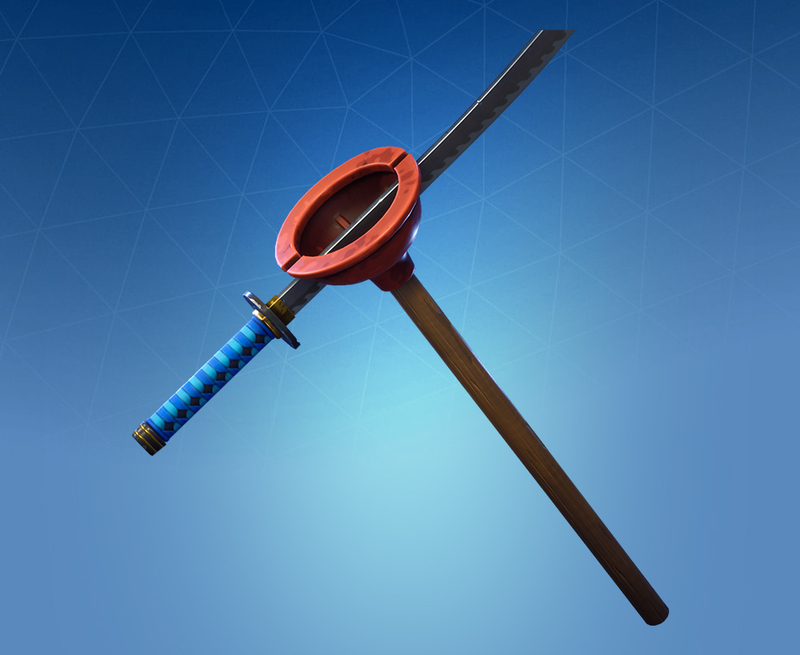 This Harvesting Tool is part of the Pizza Pit series. 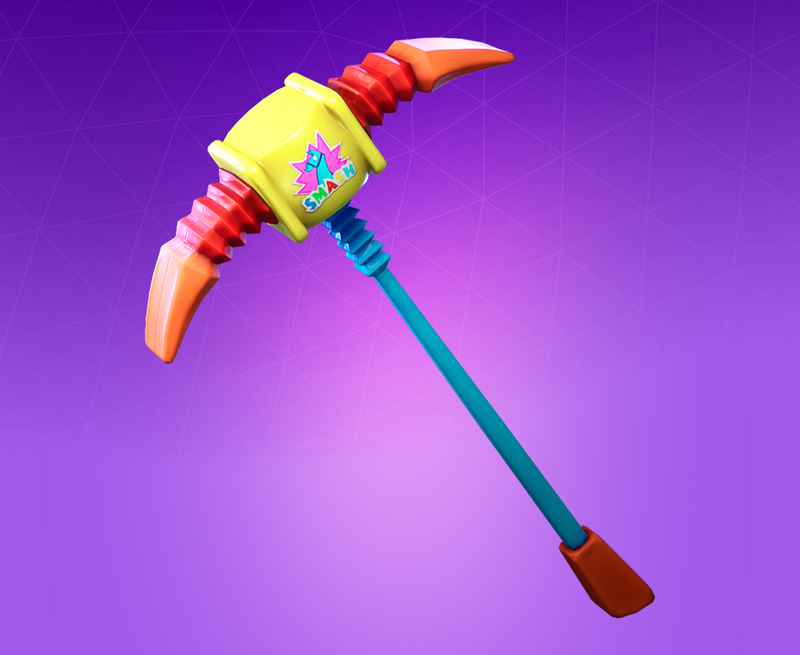 The Balloon Axe skin is available as a Tier 15 reward for Battle Pass Season 5 owners. 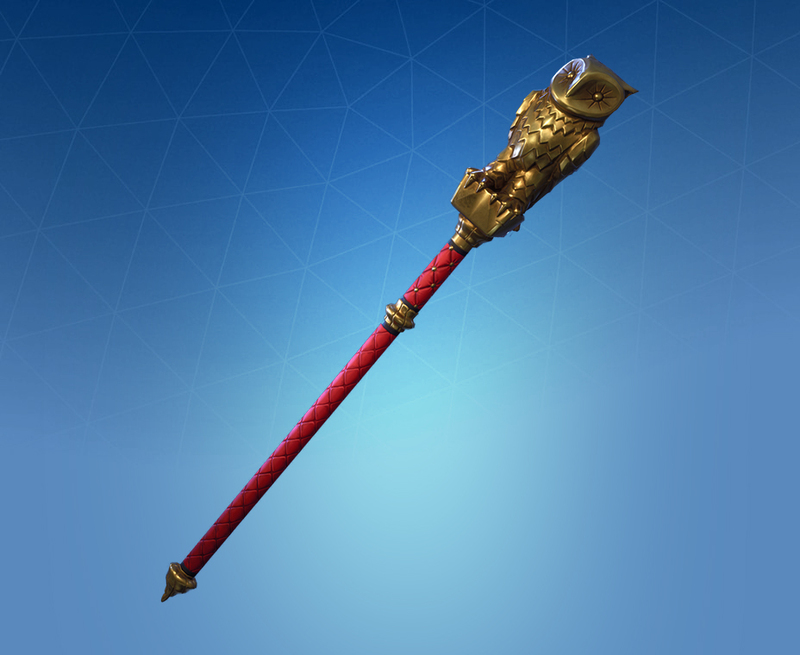 This Harvesting Tool is from the Party Parade set. The Batsickle skin is available on the Item Shop for 800 V-Bucks. The Cliffhanger skin is available on the Item Shop for 800 V-Bucks. 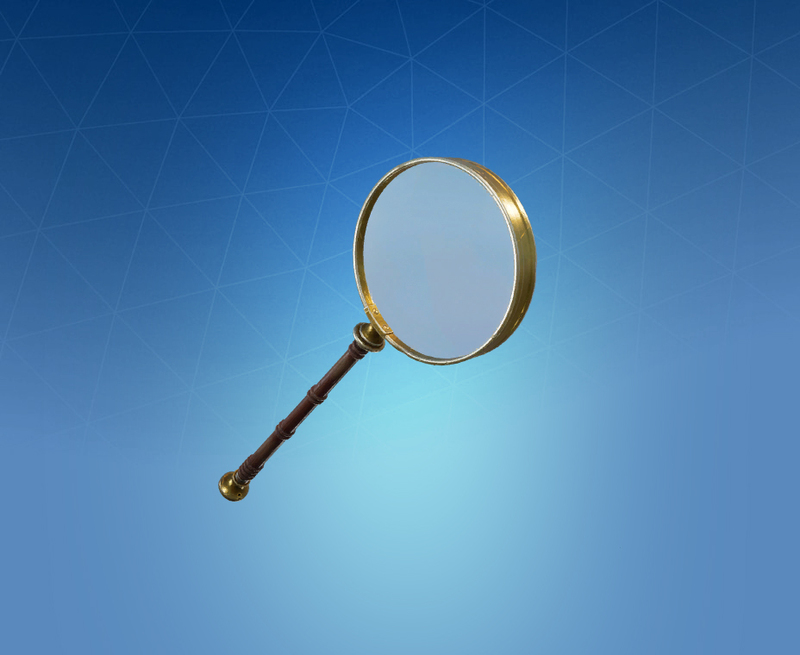 The Close Shave skin can be purchased on the Item Shop for 800 V-Bucks. 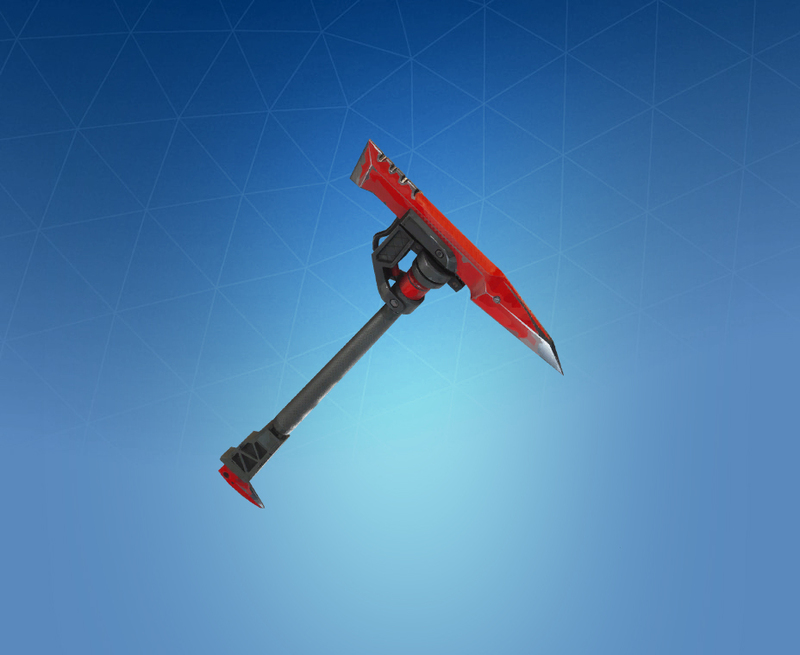 The Crimson Axe skin, which is part of the Fort Knights set, can be purchased from the Item Shop for 800 V-Bucks. The Cutting Edge skin is available on the Item Shop for 800 V-Bucks. 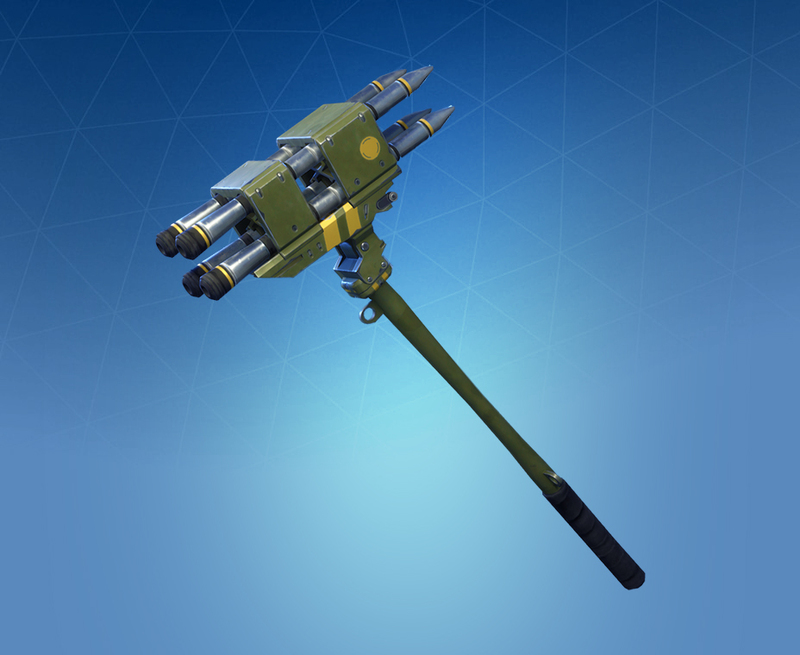 This Harvesting Tool is part of the Overclocked set. The Director’s Cut skin skin is available from the Item Shop for 800 V-Bucks. 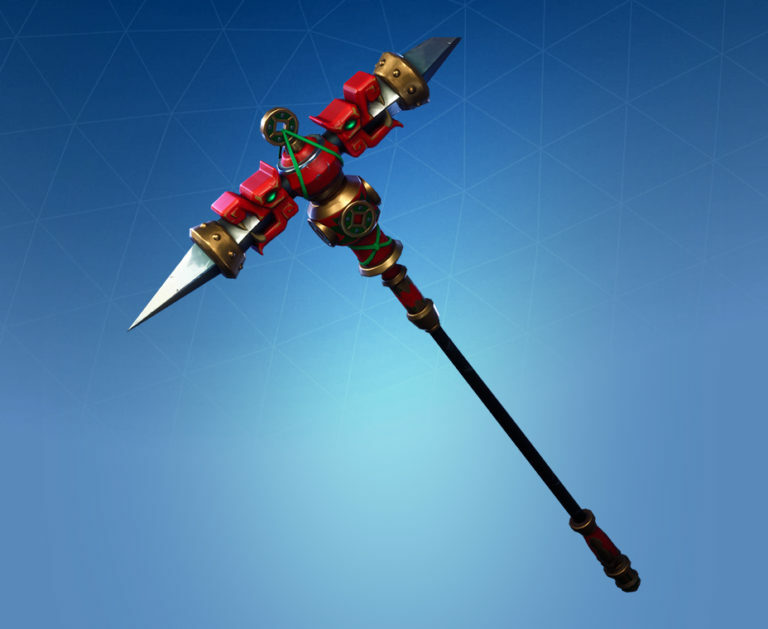 The Dragon Axe skin is a Holiday Harvesting Tool available on the Item Shop for 800 V-Bucks. 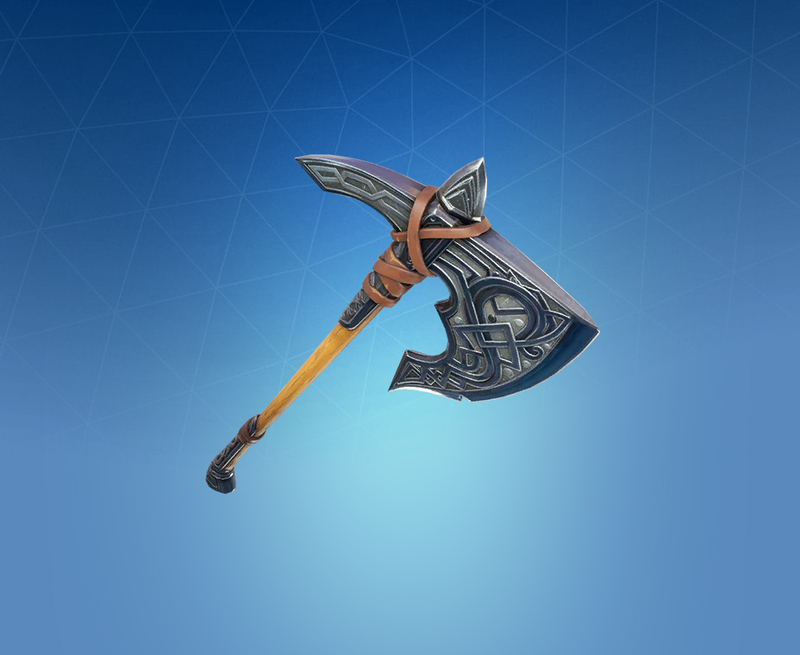 The Empire Axe skin is available on the Item Shop for 800 V-Bucks. Fortnite players can purchase the Fated Frame skin from the Item Shop for 800 V-Bucks. The Forebearer skin is part of the Norse set. 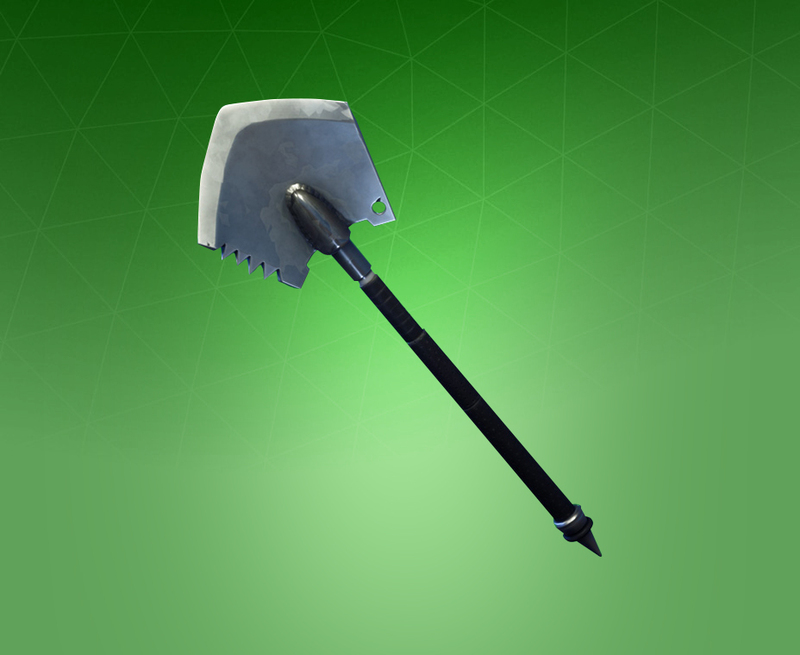 This Harvesting Tool is available from the Item Shop for 800 V-Bucks. 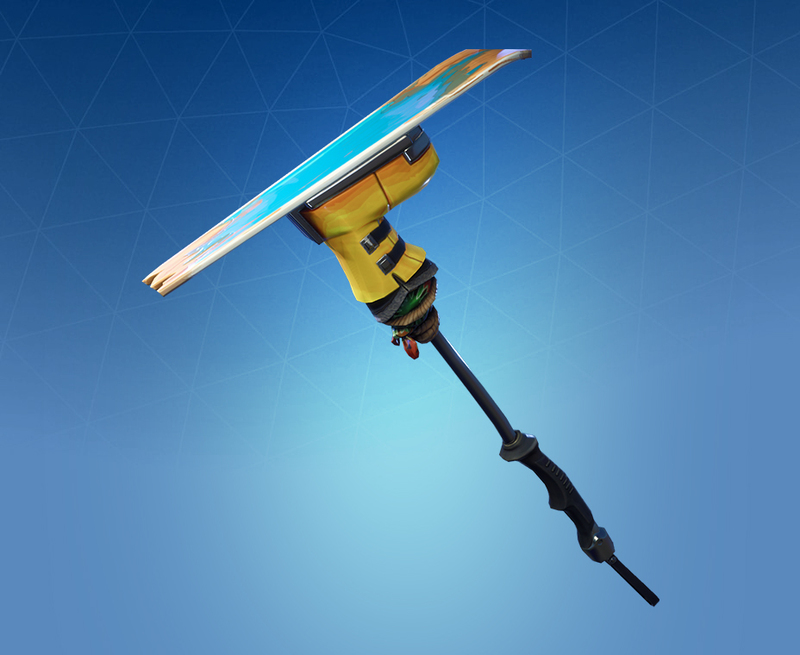 The Gale Force Harvesting Tool was available as a Tier 7 reward for Battle Pass Season 4 owners. This skin is part of the Valiant set. The Glow Stick skin is available from the Item Shop for 800 V-Bucks. 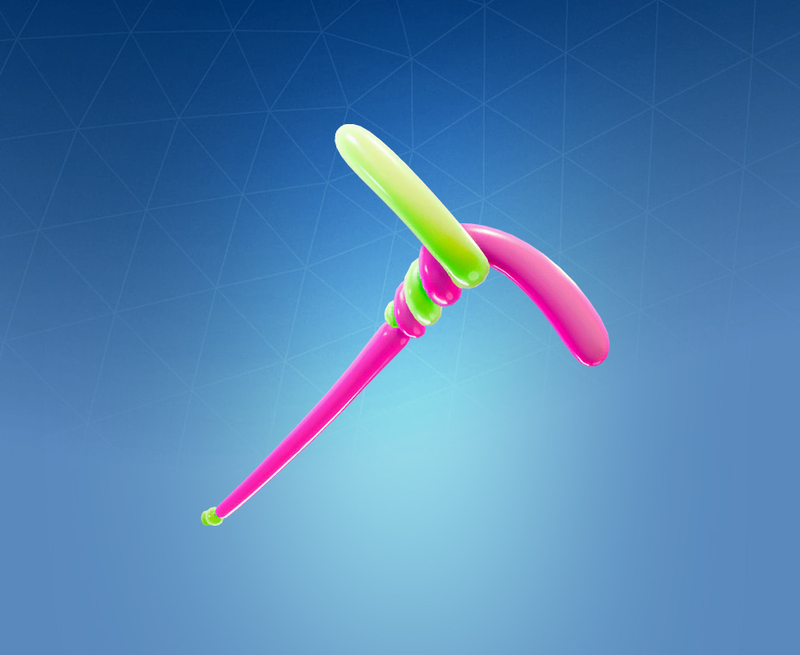 This Harvesting Tool is from the Neon Glow set. 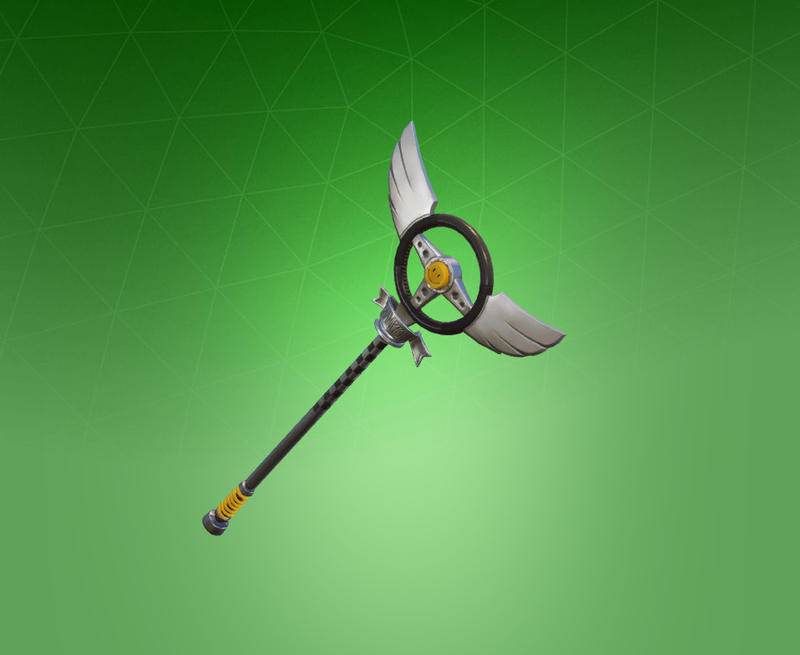 The Instigator was available to all Twitch Prime subscribers who acquired the Twitch Prime Pack 1. 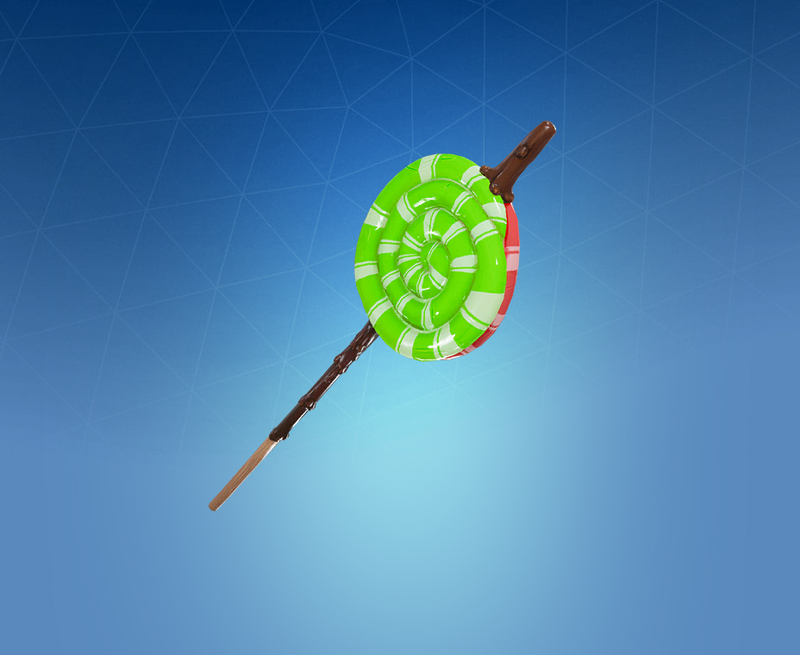 The Lollipopper skin was available to all Free Pass players who reached Tier 46 during Season 4. 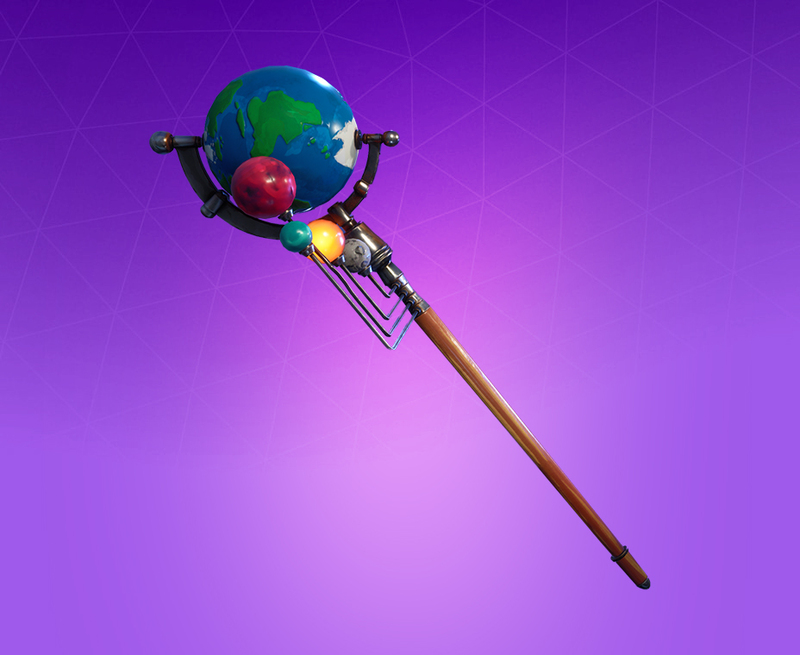 This Harvesting Tool is part of the Sweet Tooth set. 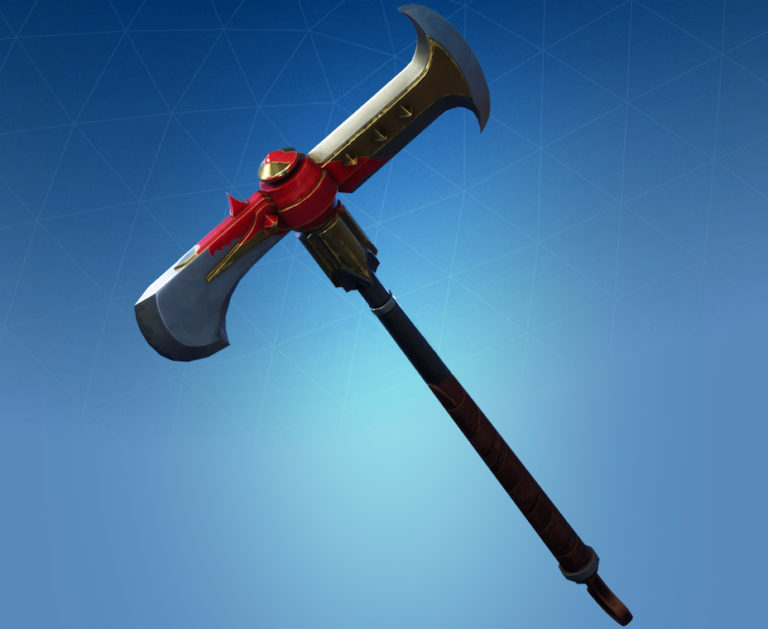 The Lug Axe skin is available as a Tier 30 reward for Free Pass players during Season 5. 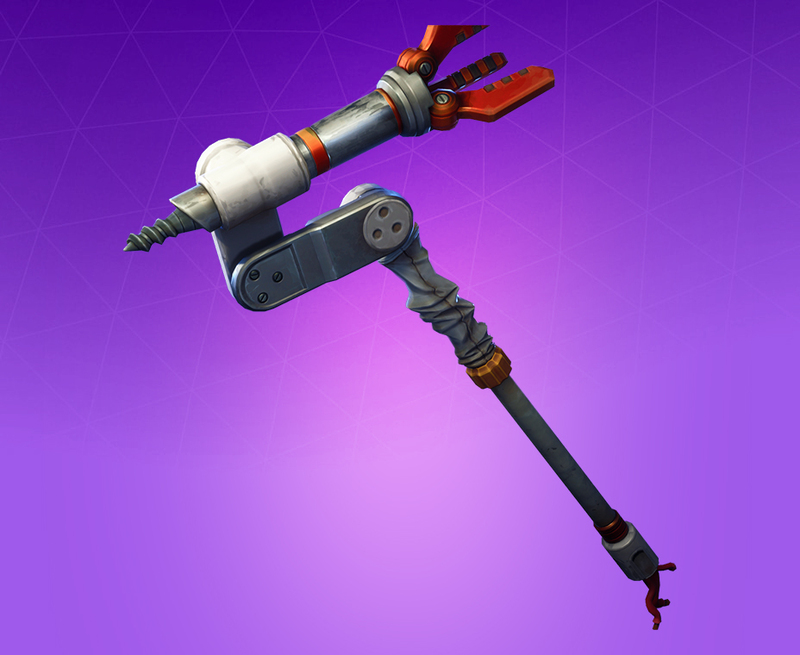 This Harvesting Tool is from the RPM set. 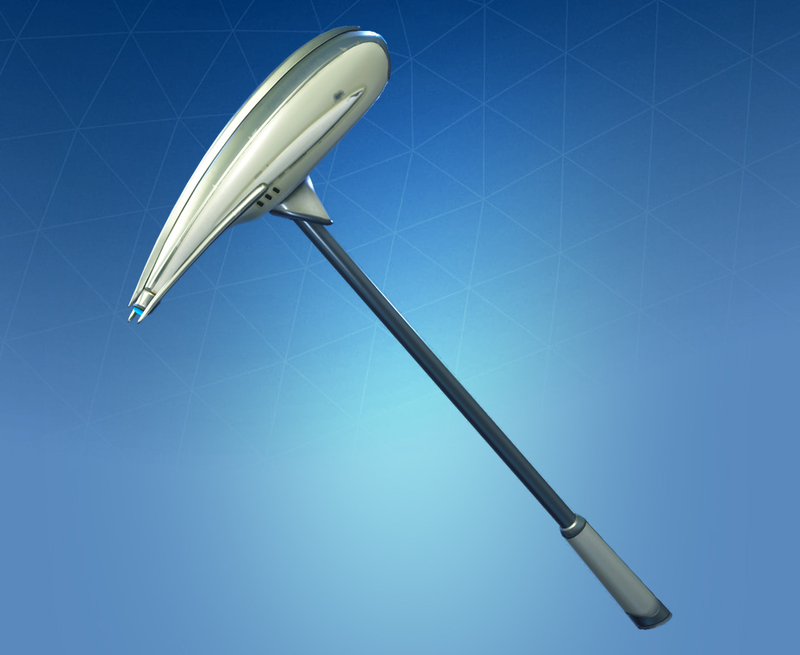 The Magnifying Axe skin is available on the Item Shop for 800 V-Bucks. 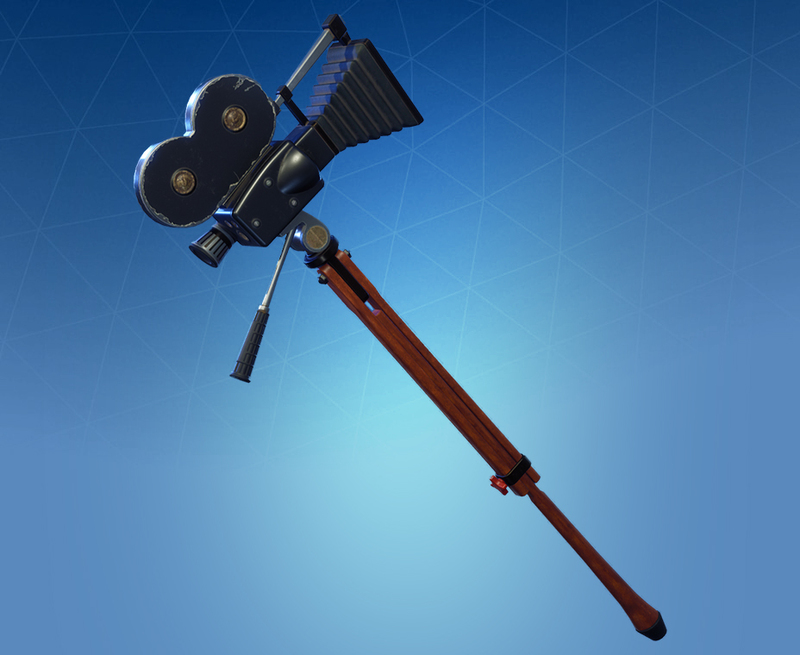 This Harvesting Tool is part of the Hardboiled set. The Nite Owl skin is available on the Item Shop for 800 V-Bucks. 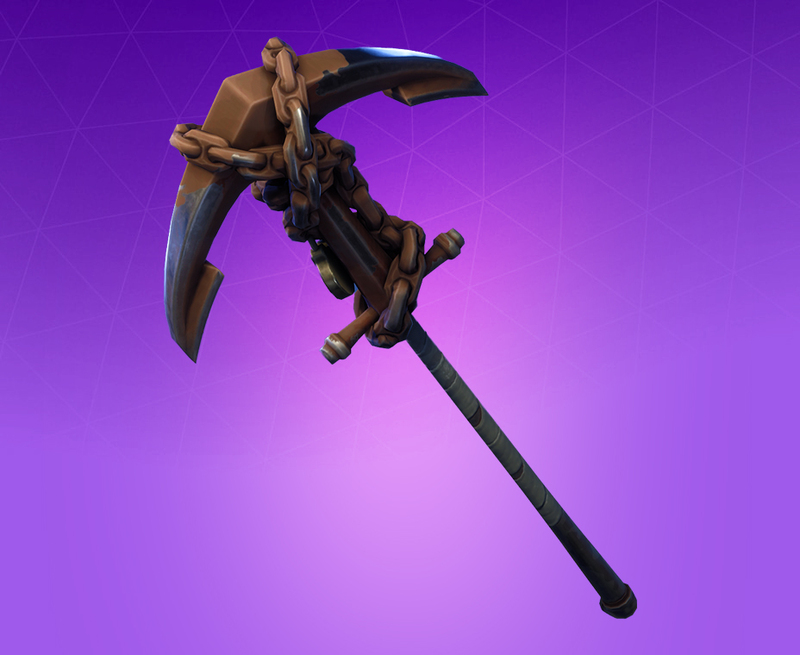 This Pickaxe is part of the Jailbird set. 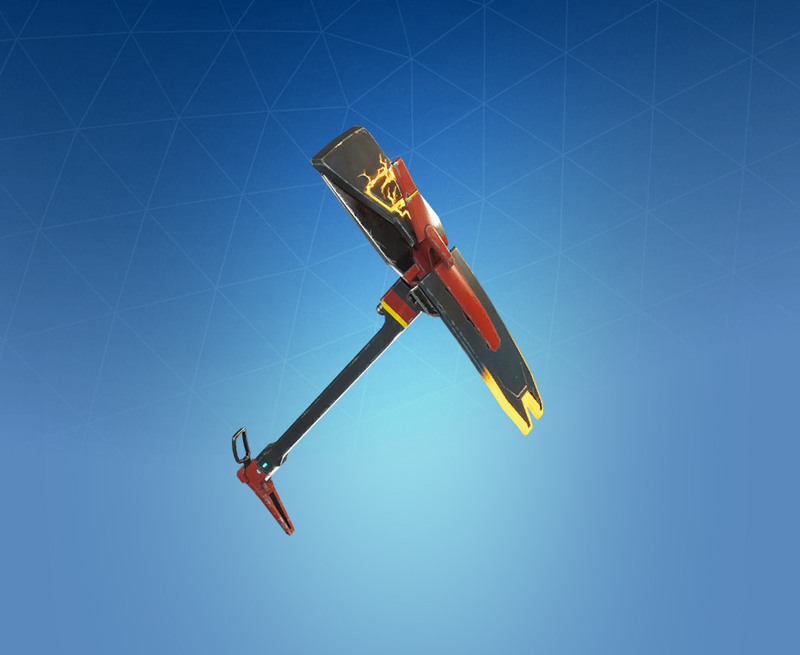 The Persuader skin is available from the Item Shop for 800 V-Bucks. 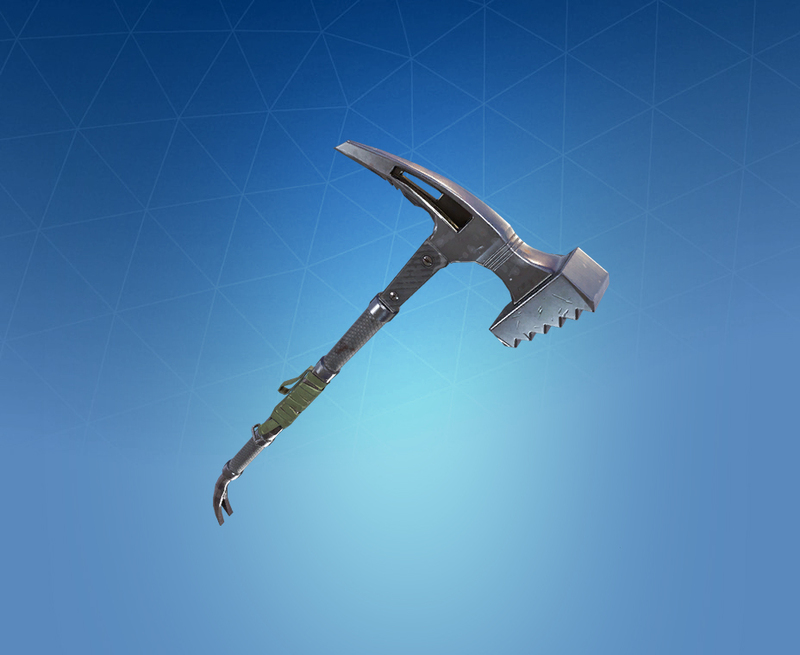 This Harvesting Tool is part of the Solid Steel set. 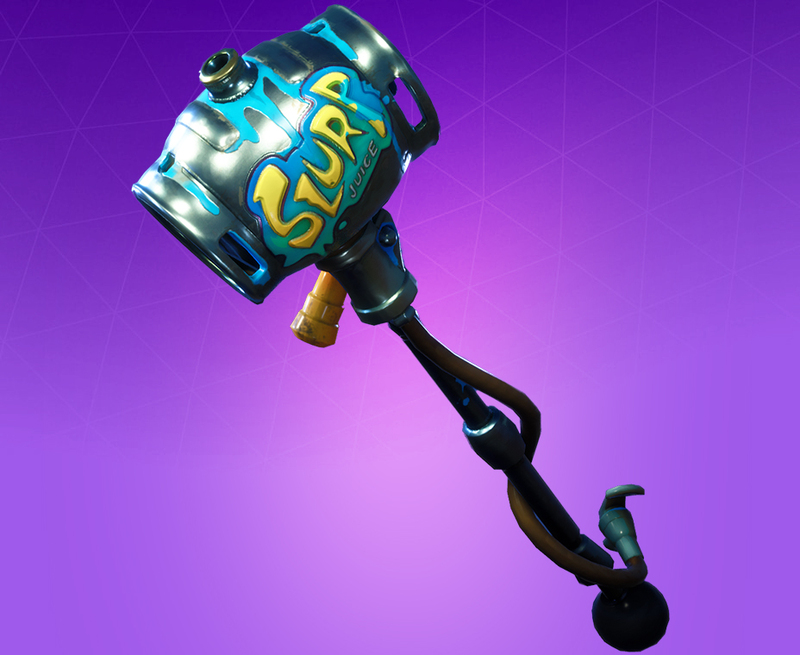 The Plunja skin is available on the Item Shop for 800 V-Bucks. The Positron skin was available for Battle Pass Season 4 owners as a Tier 30 reward. 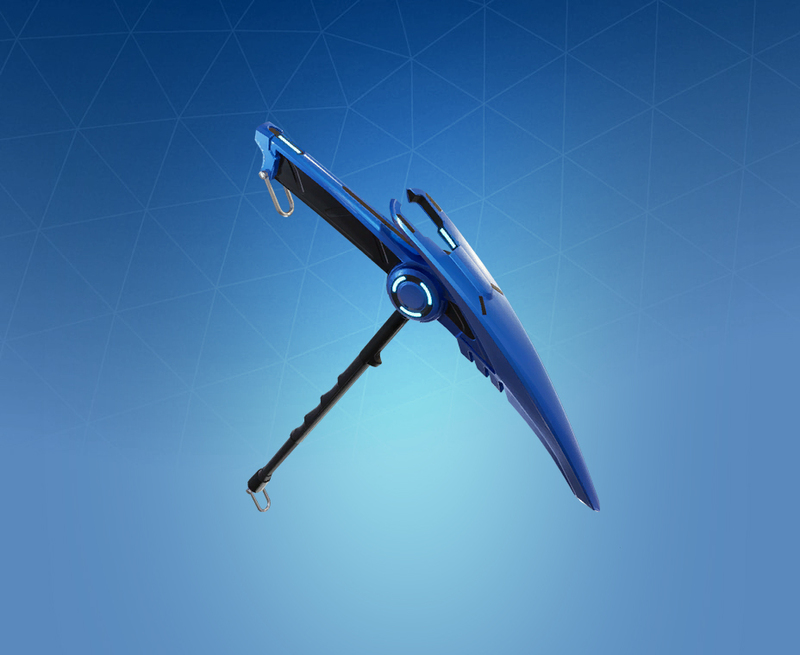 This Harvesting Tool is part of the Carbide set. 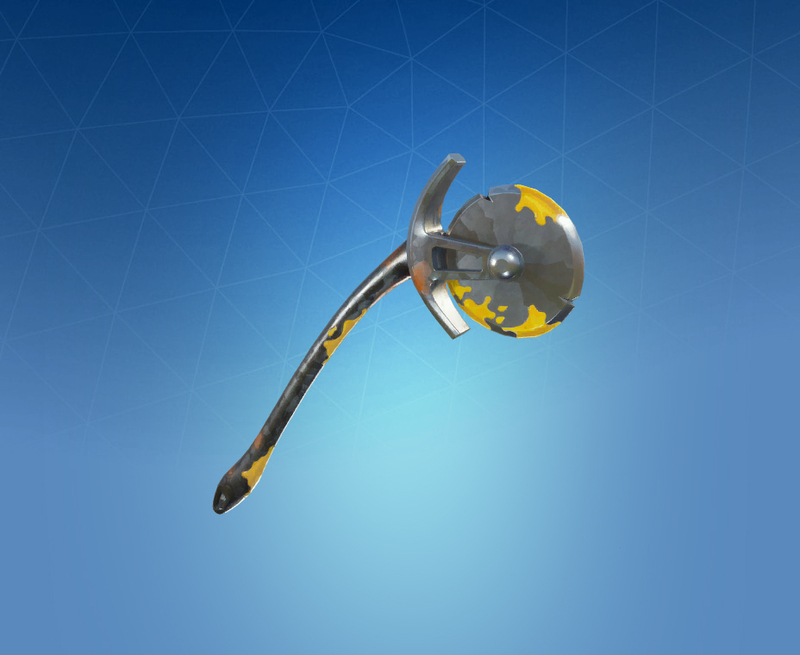 The Propeller Axe skin is available from the Item Shop for 800 V-Bucks. 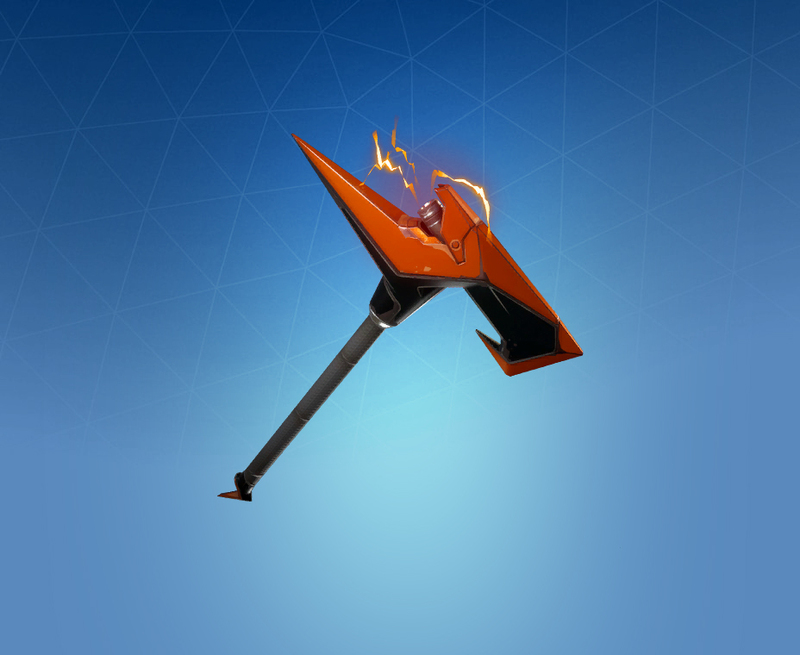 The Pulse Axe skin was available as a Battle Pass Season 2 reward for players who reached Tier 7. This skin is part of the Storm Fusion set. 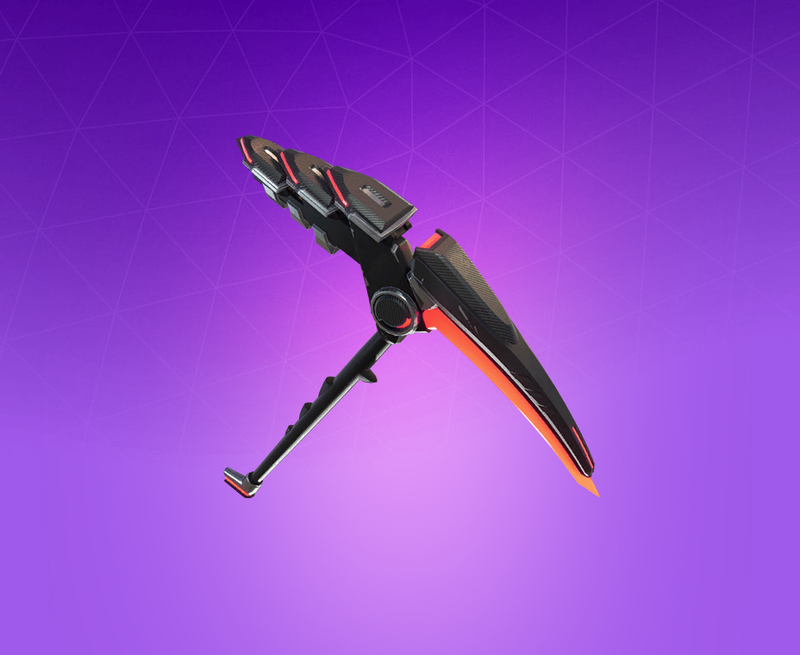 The Razor Edge skin is available on the Item Shop for 800 V-Bucks. 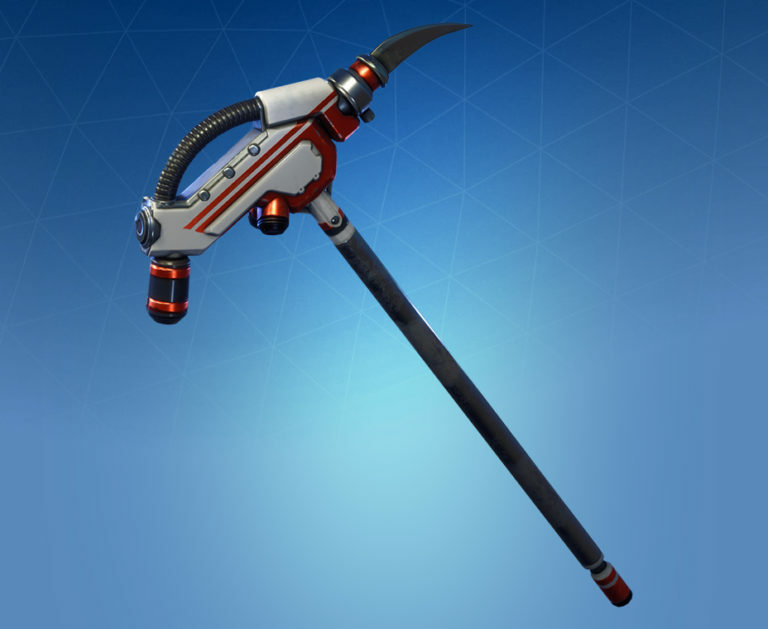 This Harvesting Tool is part of the Apex Protocol set. 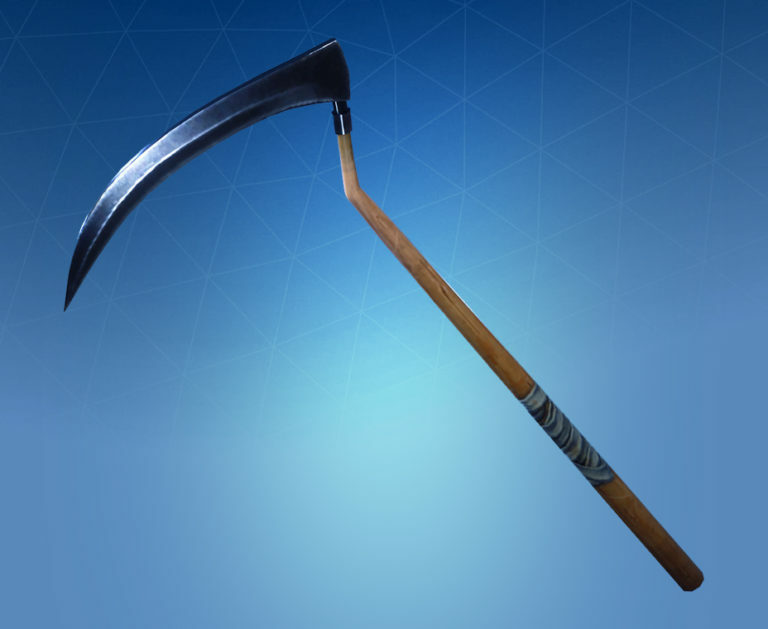 The Reaper skin is one of the rarer and cooler Harvesting Tools available in Fortnite, in part because it is a Holiday skin for Halloween. 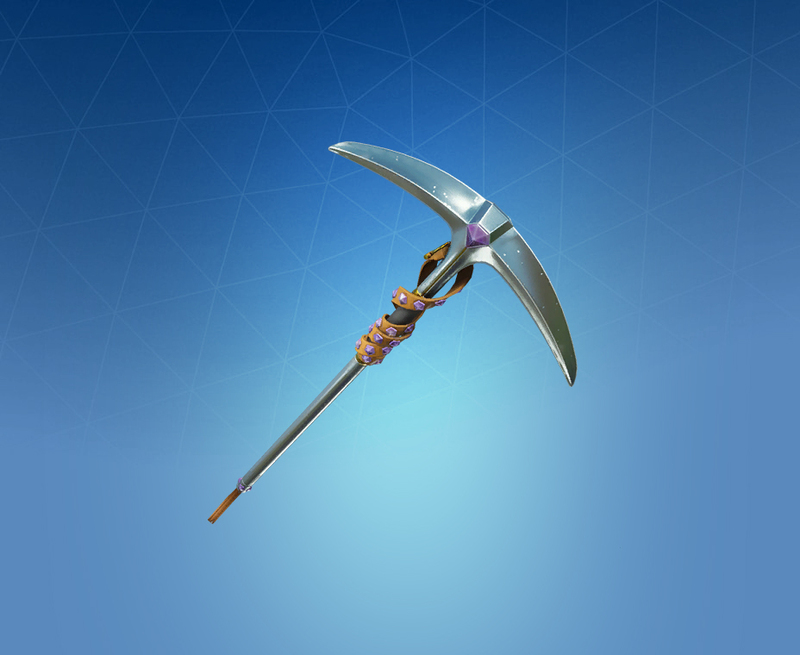 This Pickaxe can be purchased at the Item Shop for 800 V-Bucks. The Sawtooth skin was available as part of the Season 3 Battle Pass as a Tier 7 reward. 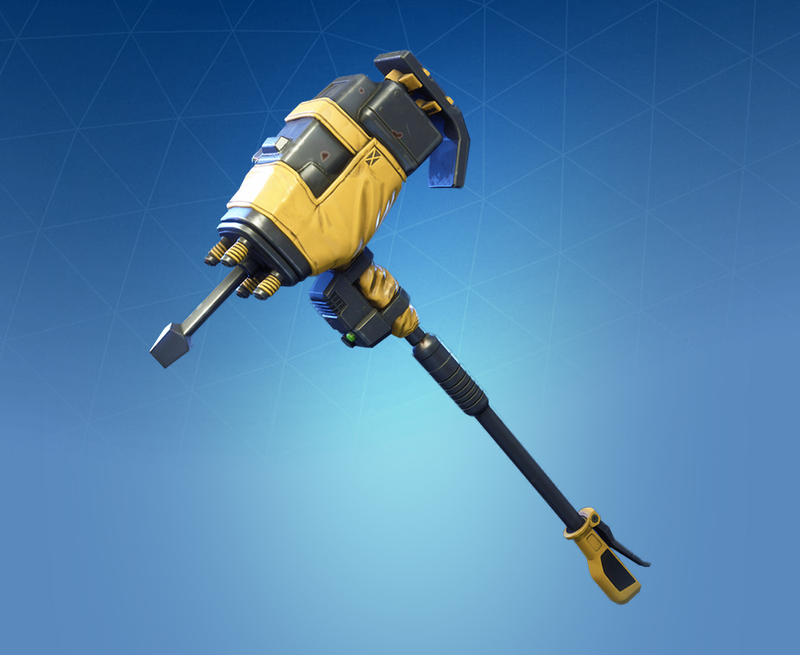 This Harvesting Tool is from the Storm Scavenger set. The Silver Fang skin is available on the Item Shop for 800 V-Bucks. This Harvesting Tool is from the Laoch set. The Ski Boot skin is available on the Item Shop for 800 V-Bucks. 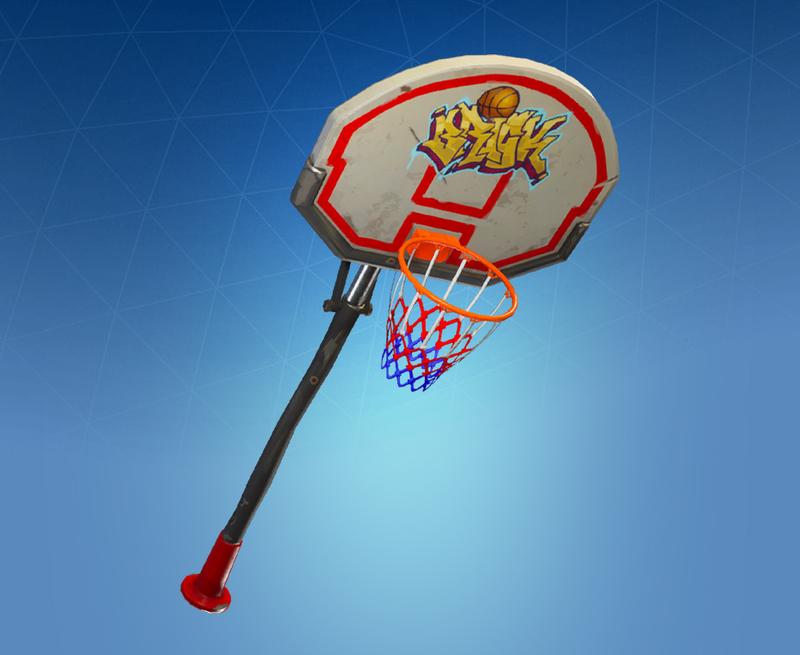 The Slam Dunk skin is available on the Item Shop for 800 V-Bucks as part of the Half Court set. 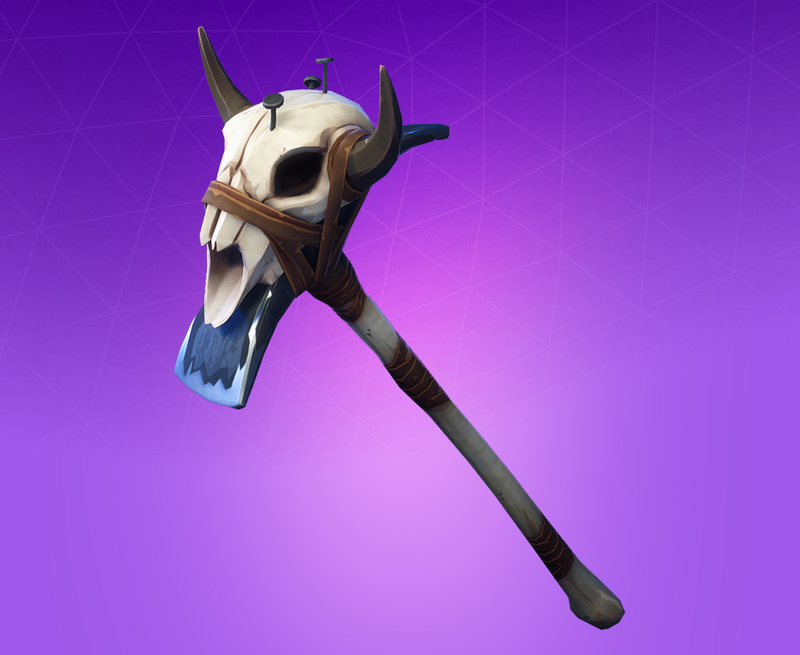 The Spectral Axe skin is available on the Item Shop for 800 V-Bucks. The Spectre skin is available on the Item Shop for 800 V-Bucks. It is part of the Stealth Syndicate set. The Spiky skin can be purchased from the Item Shop for just 800 V-Bucks. 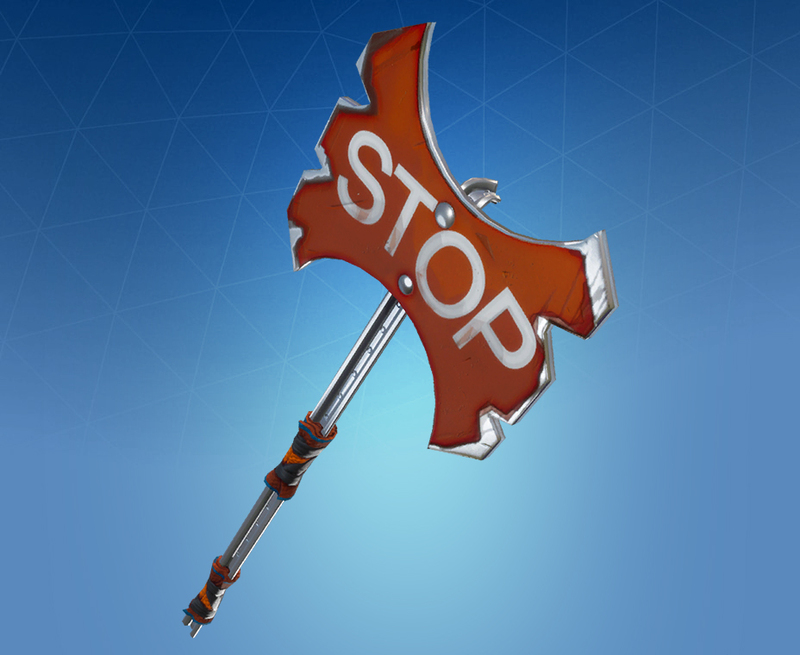 The Stop Axe skin can be purchased on the Item Shop for 800 V-Bucks. 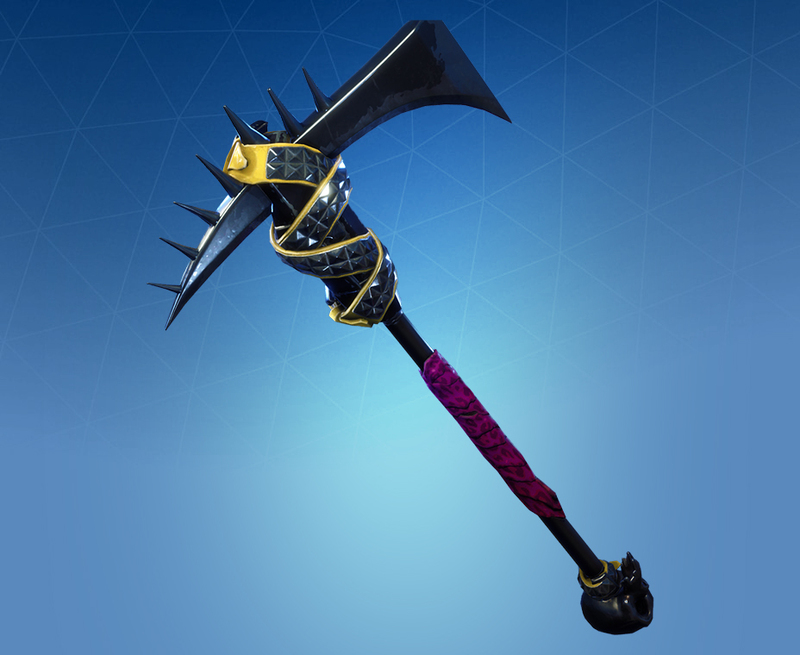 The Studded Axe skin is available for 800 V-Bucks on the Item Shop. This skin is part of the Sharp Style set. 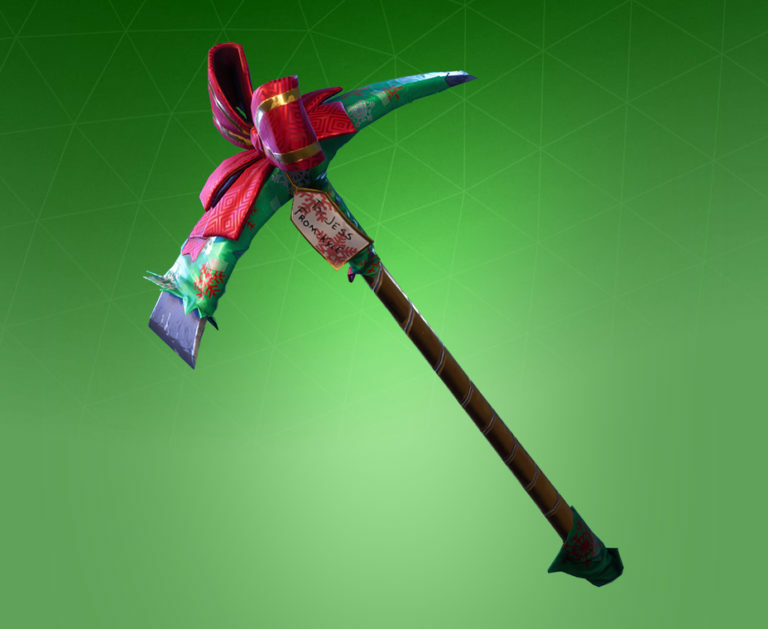 The Tat Axe skin is available on the Item Shop for 800 V-Bucks as a Holiday skin. 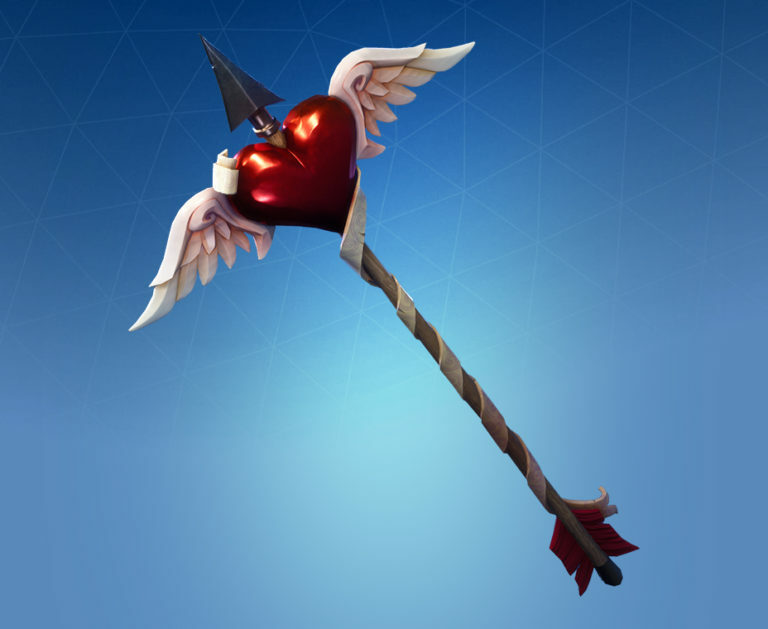 It is part of the Royale Hearts set. 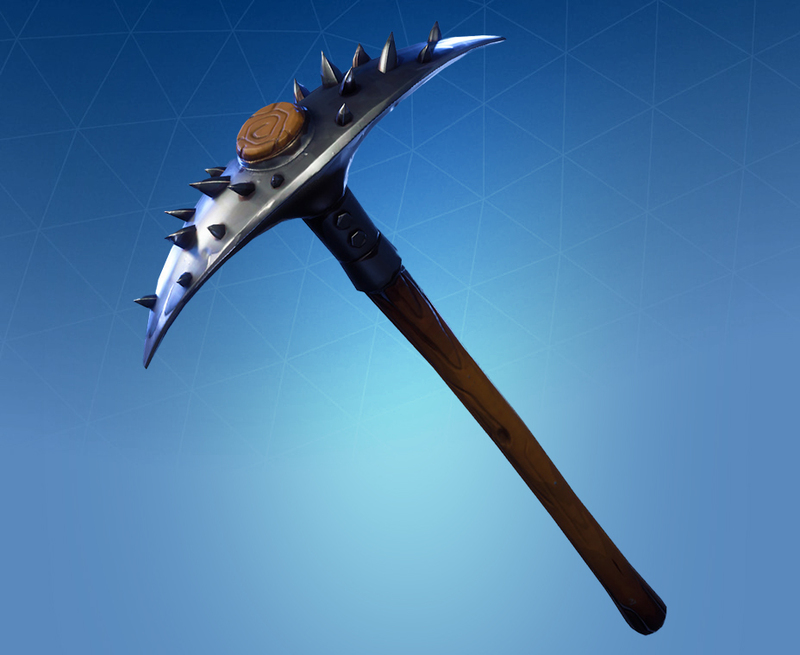 The Tenderizer skin was part of the Twitch Prime Pack 2 giveaway for Twitch Prime subscribers. 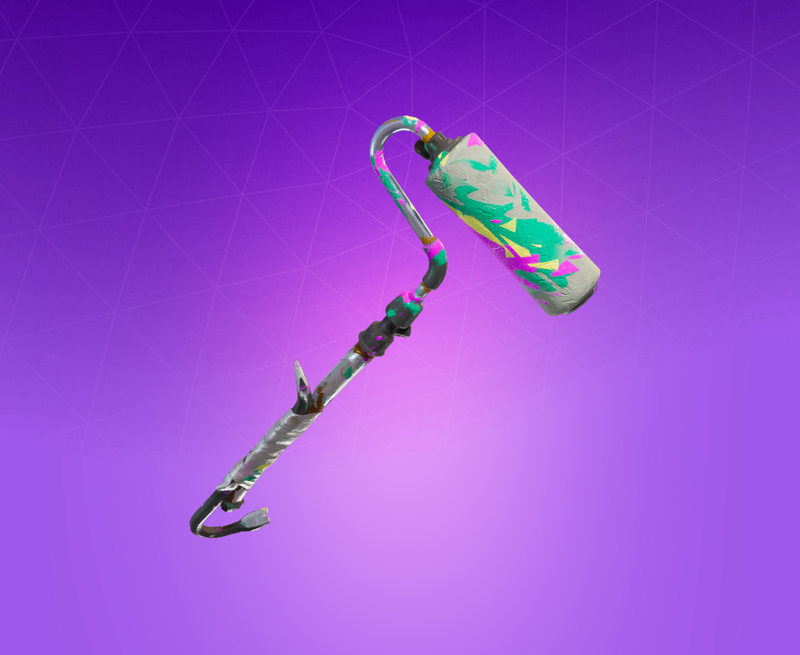 This Harvesting Tool is part of the Advanced Forces set. The Tendril skin is available on the Item Shop for 800 V-Bucks. 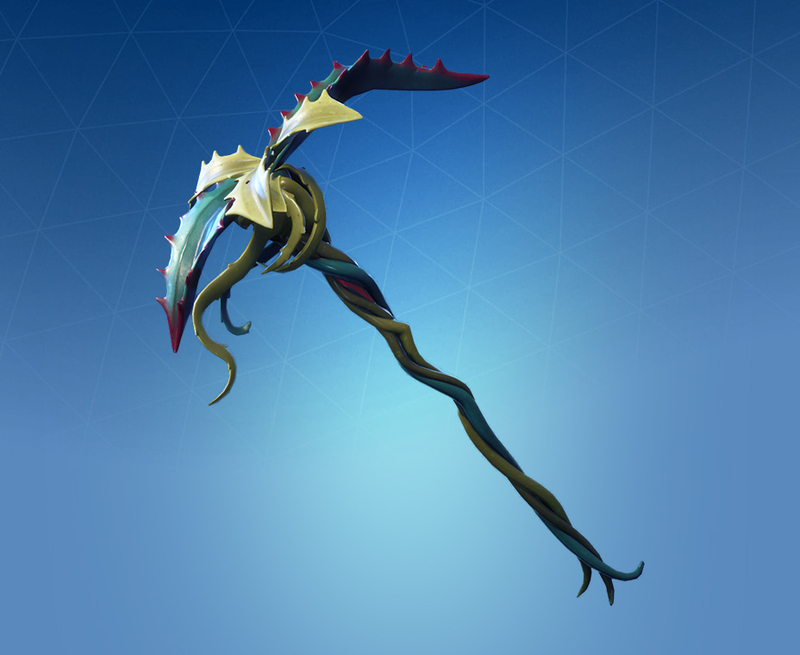 This Harvesting Tool is part of the Flytrap set. 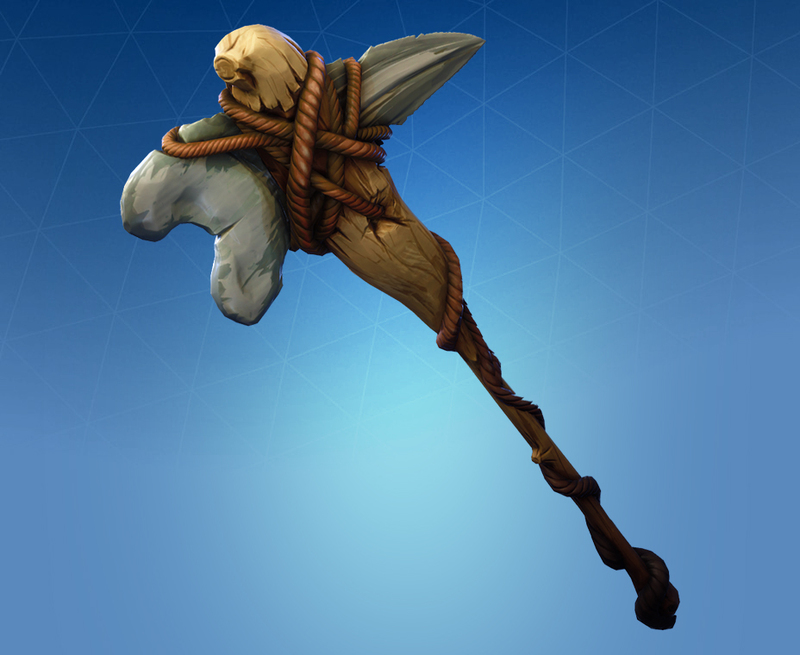 The Tooth Pick skin is available from the Item Shop for 800 V-Bucks. 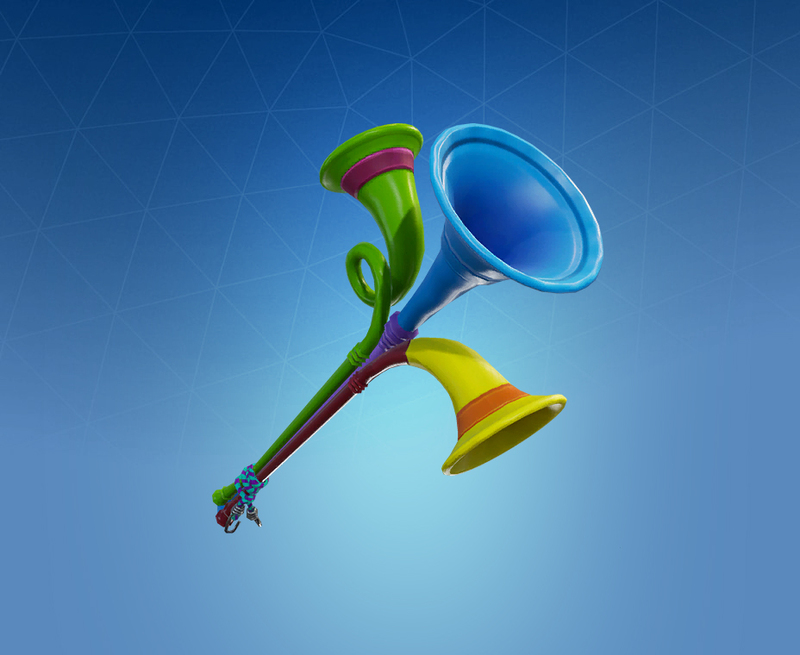 The Vuvuzela skin is part of the Goalbound set, and it can be purchased on the Item Shop for 800 V-Bucks. The Bitemark skin can be purchased from the Item Shop for 1,200 V-Bucks. 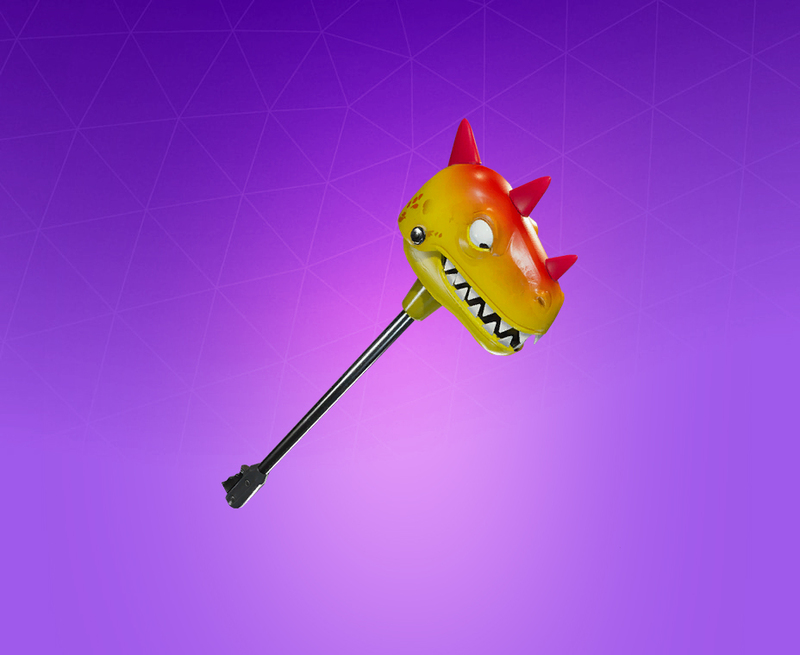 This Harvesting Tool is part of the Dino Guard set. The Bottom Feeder skin is available from the Item Shop for 1,500 V-Bucks. 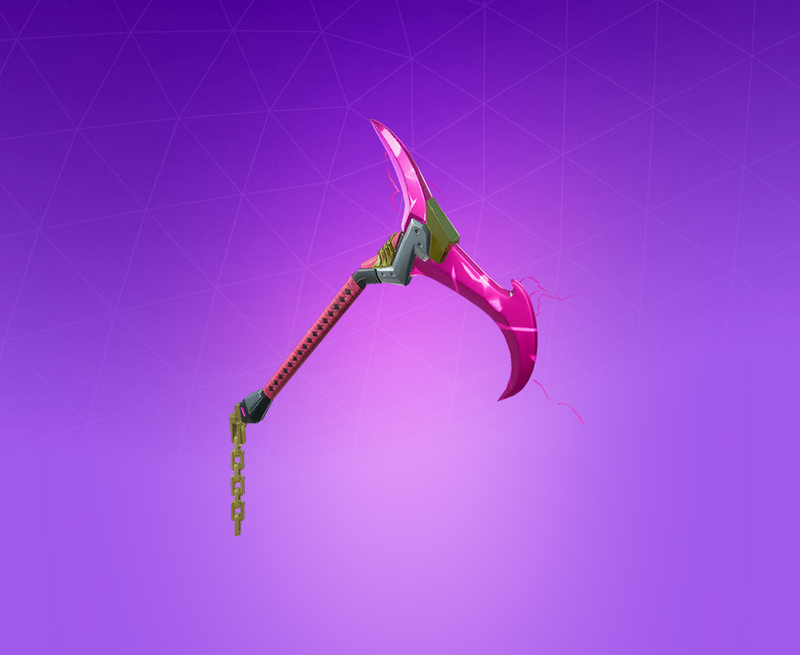 The Candy Axe skin can be purchased from the Item Shop for just 1,500 V-Bucks. It is a Holiday Pickaxe. 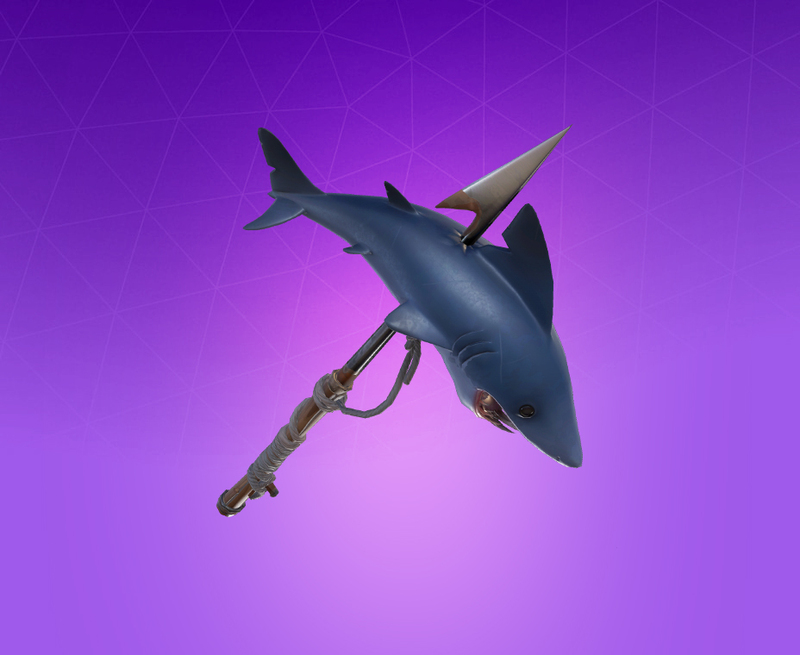 The Chomp Jr. skin is available on the Item Shop for 1,500 V-Bucks. The Death Valley skin is available for 1,500 V-Bucks on the Item Shop. The Disco Brawl skin is part of the Fortnite Fever set and can be purchased from the Item Shop for 1,500 V-Bucks. The EVA skin was available to all Free Pass players who reached Tier 46 during Season 3. 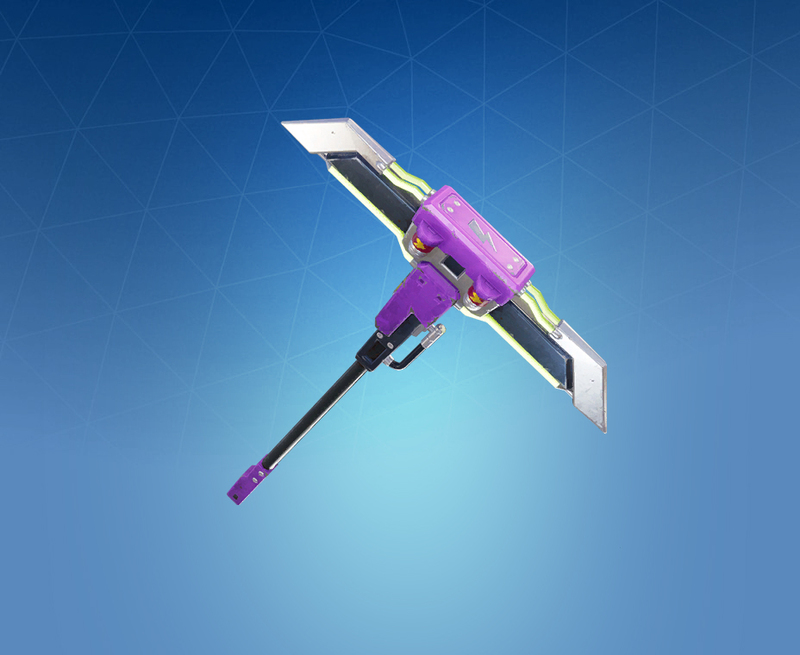 This Harvesting Tool is part of the Space Explorers set. 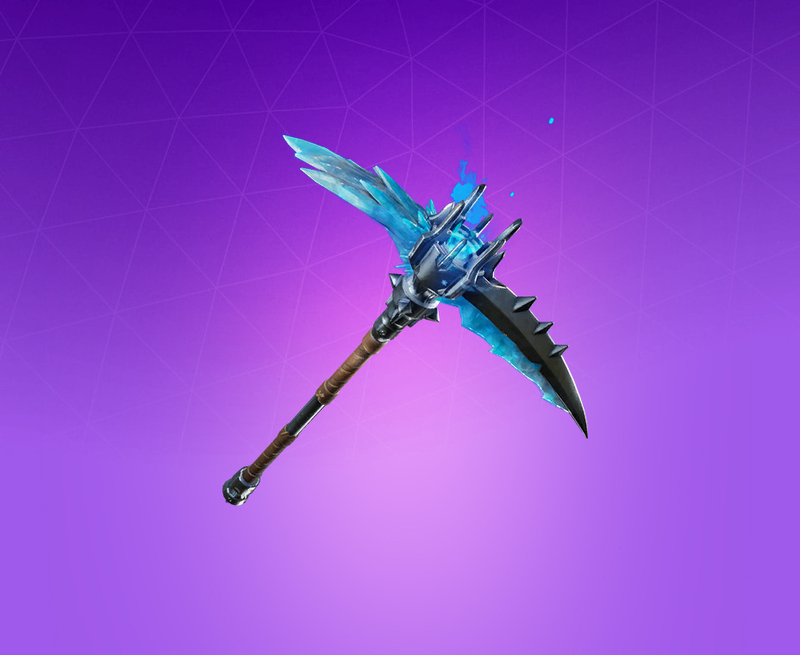 The Global Axe skin is available on the Item Shop for 1,200 V-Bucks. The Onslaught skin was available as a Battle Pass Season 4 reward for completing three of the season’s five Omega Challenges. 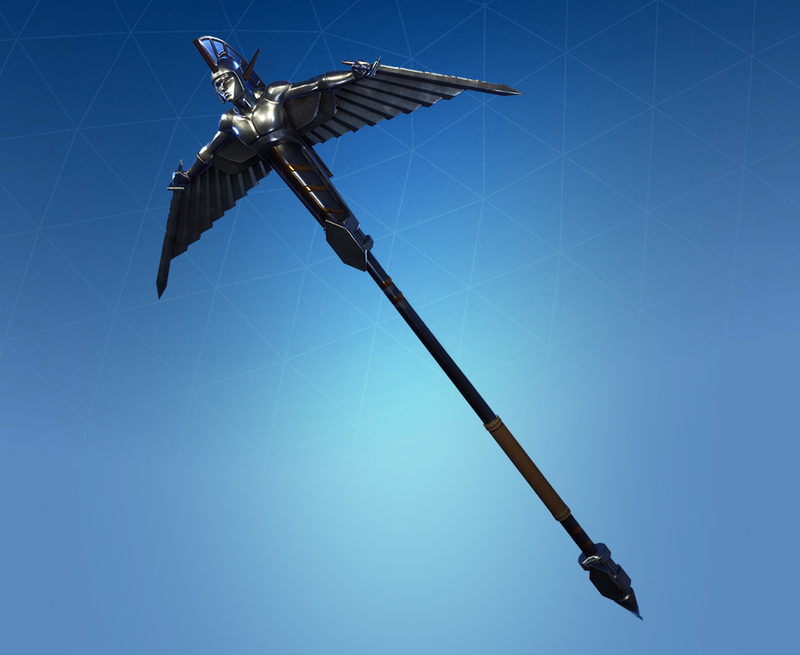 This Harvesting Tool is part of the Omega set. 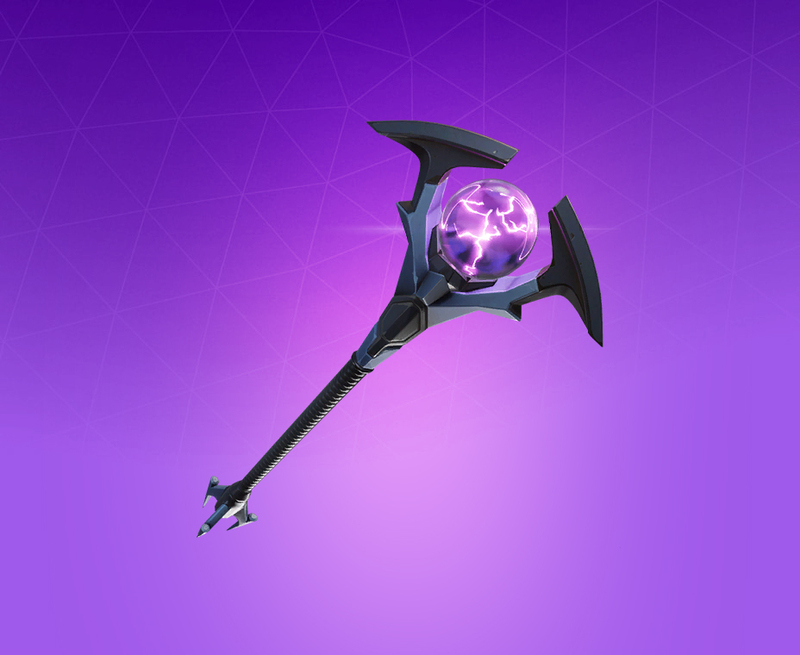 The Oracle Axe is available from the Item Shop for 1,200 V-Bucks. 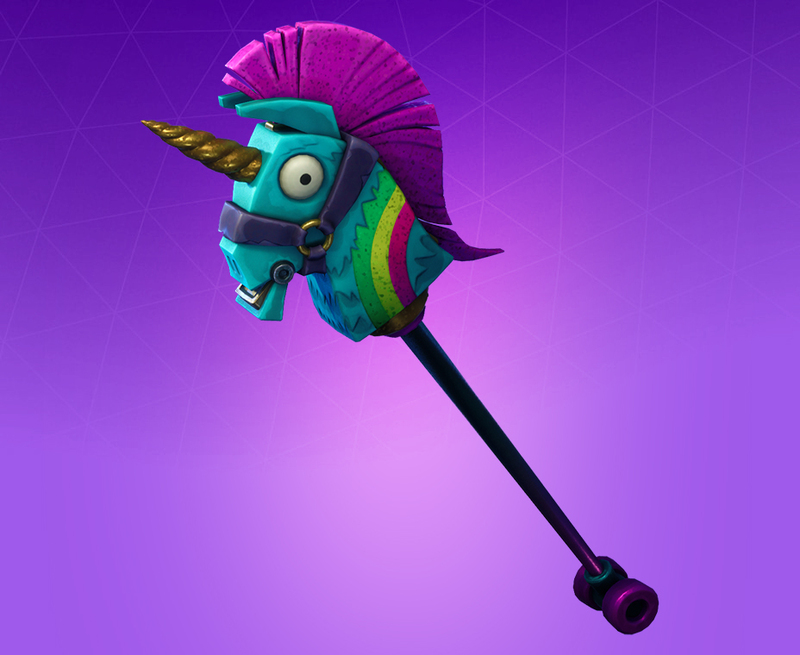 The Party Animal skin is available from the Item Shop for 1,500 V-Bucks. The Permafrost skin is available for Battle Pass Season 5 owners that complete four out of five Ragnarok Challenges. 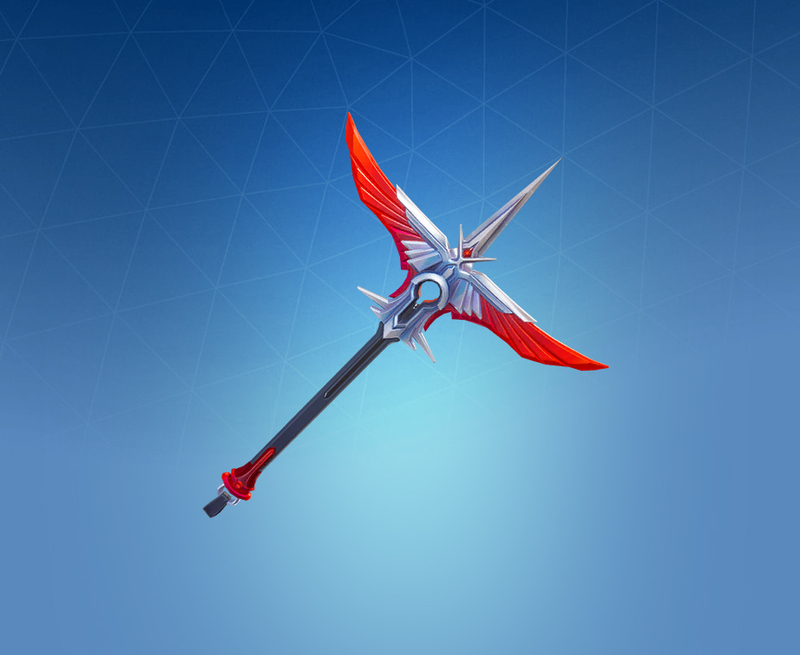 This Pickaxe is part of the Harbinger set. The Pick Squeak skin can be purchased from the Item Shop for 1,500 V-Bucks. 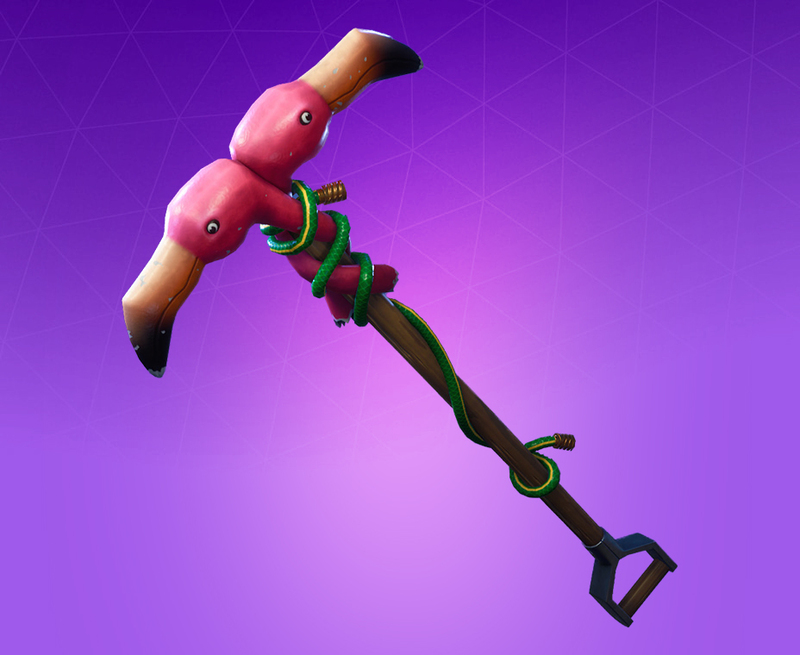 The Pink Flamingo skin is available from the Item Shop for 1,500 V-Bucks. 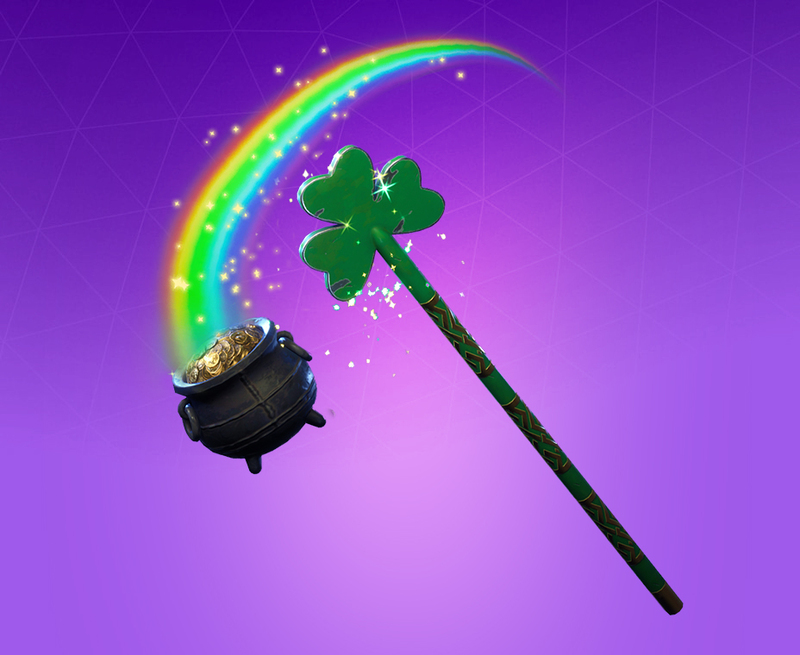 The Pot O’ Gold skin is a Holiday Harvesting Tool available on the Item Shop for 1,200 V-Bucks. This skin is part of the Green Clover set. 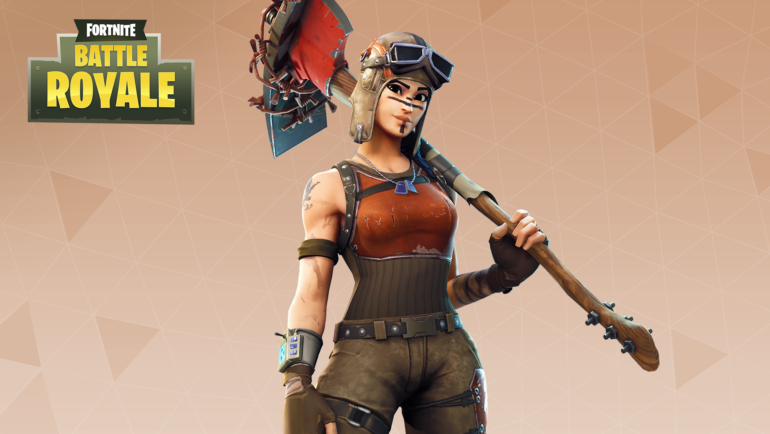 The Raider’s Revenge skin was available from Season 1’s Season Shop after reaching Level 35. Players could purchase it for 1,500 V-Bucks. The Rainbow Smash skin is part of the Sunshine & Rainbows set, and it is available from the Item Shop for 1,500 V-Bucks. The Renegade Roller skin is available from the Item Shop for 1,200 V-Bucks. 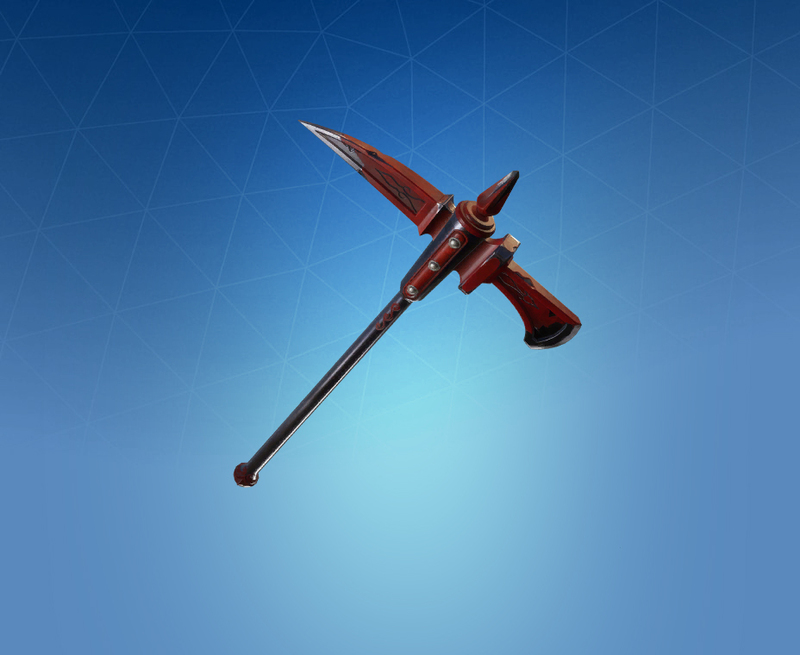 This Harvesting Tool is part of the Aerosol Assassins set. The Rift Edge skin is available to Battle Pass Season 5 owners who finish four out of the five Drift Challenges from the Battle Pass. This skin is part of the Drift set. The Trusty No. 2 skin was available as a Tier 79 reward for Battle Pass Season 3 owners. This skin is part of the Hired Gun set, which includes The Reaper.